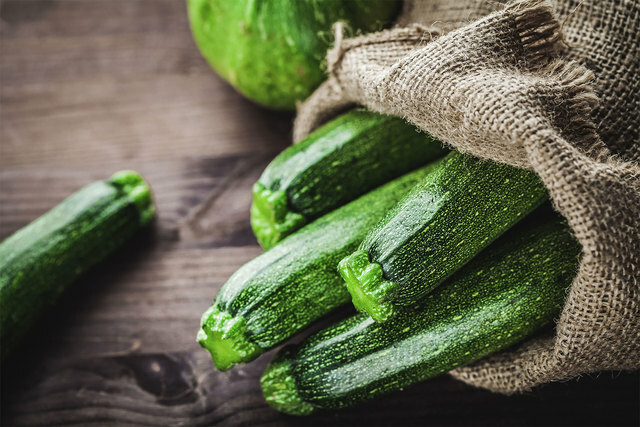 Peel the courgettes and chop the skins. 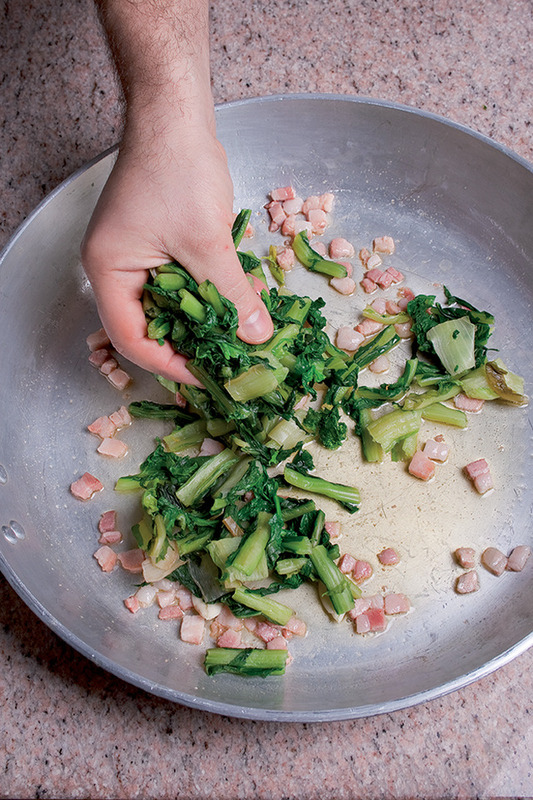 Crisp the minced dry-cured ham in a non-stick frying pan, stirring from time to time. Drain off the fat which formed during cooking and leave to cool, then blend finely. 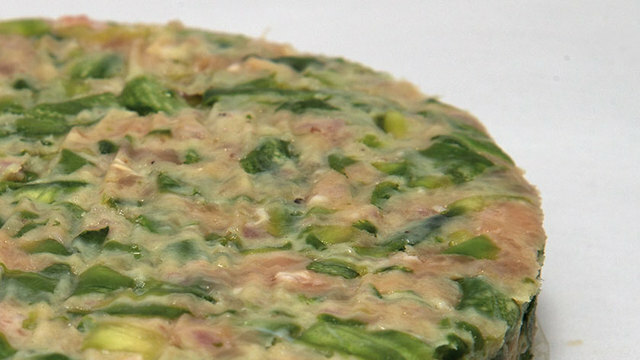 Put the chopped courgette skin in a bowl and add the cheese, the blended ham and the pepper and mix. Add the meatloaf mix and mix thoroughly. Divide the mixture into 4 balls of about 100 g each and press down until about 1 cm thick. Oil the bottom of a non-stick frying pan, place the beefburgers inside and put the lid on. 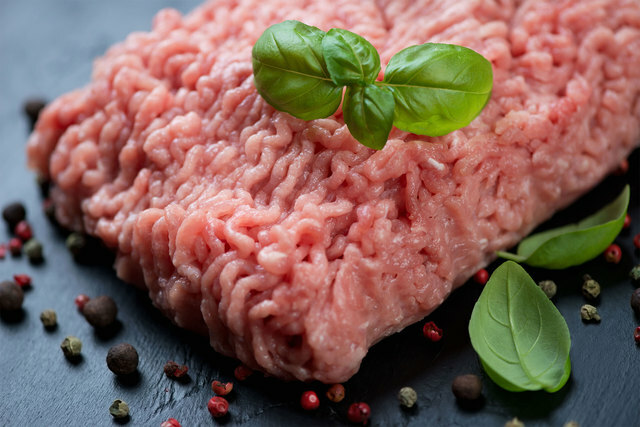 Cook for about 5 minutes over a low heat, remove the lid and check cooking: if the beefburger has changed colour through half its depth it is time to turn it over with the aid of a fish slice. Complete cooking on the other side in a few minutes. Cooking over medium-low heat initially ensures that the core of the beefburger is cooked; to complete, the heat must be turned up for a crispier outside surface. The recommended portion is a couple of kebabs per person. Cook the polenta and when it cools pour it into an oven tray, leave it to cool, turn it out onto a work surface and cut it into small rectangles as described in the ingredients. 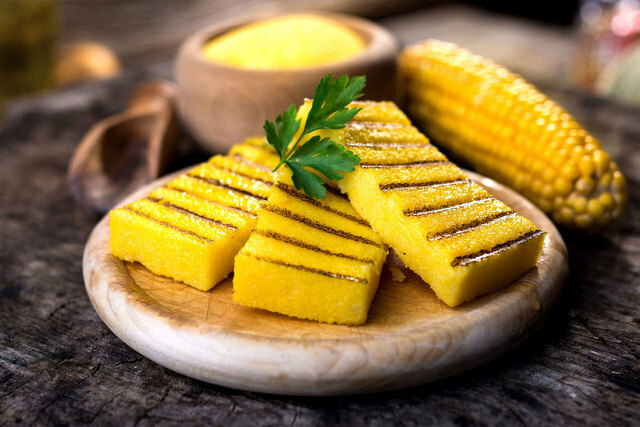 Polenta is easy to slice when cold, so it is best to prepare it the day before. 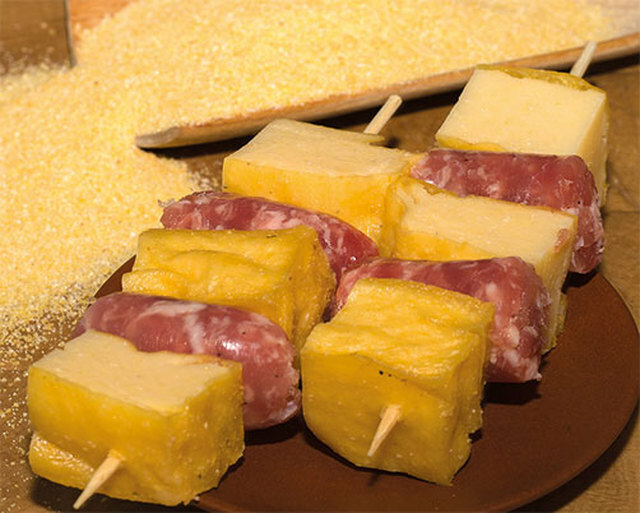 Prepare the same number of polenta and sausage pieces of the same size and place them on the skewer in alternation. Pour enough oil into a frying-pan to completely cover its bottom and fry the kebabs for 10 minutes on one side and 10 minutes on the other, on the hob of your Glem cooker. While the sausage cooks the polenta fries, forming a crisp crust but staying soft on the inside. Remove the woody ends from the asparagus and steam them on a Glem hob to soften them. Allow them to cool and dry them. 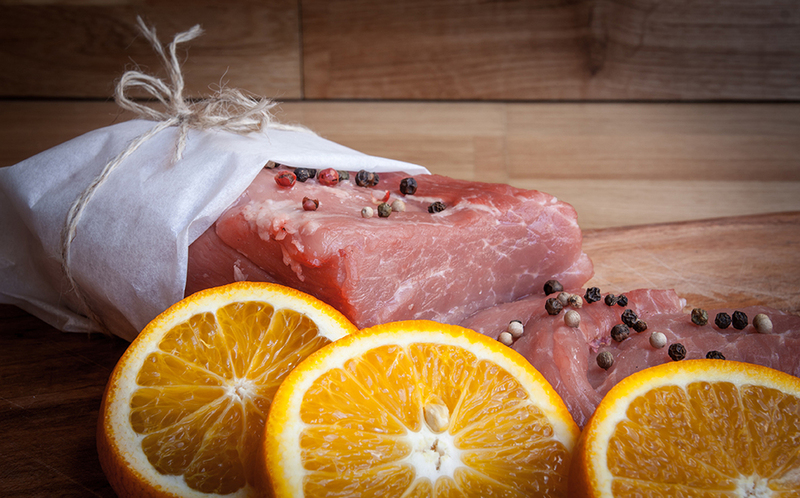 Cut the slice of turkey breast in half and open out the two parts on a worktop. Place a slice of fontina cheese and an asparagus spear on top of each piece of turkey breast, then wrap the asparagus in the cheese and turkey to form a roll. Proceed in the same way for the other roll. Beat the eggs in a bowl with salt and pepper and place the breadcrumbs in another bowl. One at a time, dip the rolls in the egg and then in the breadcrumbs, rolling them over with your hands to coat them evenly. 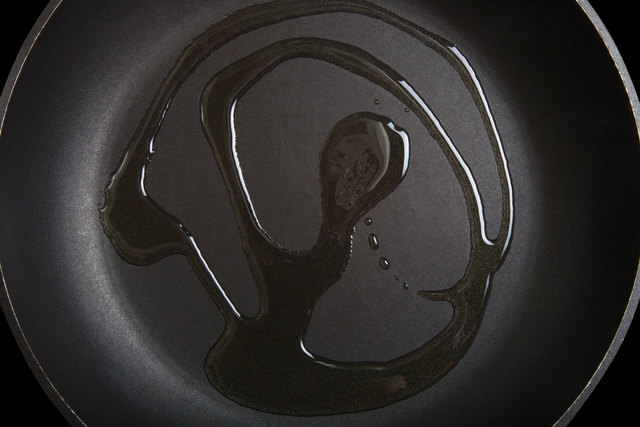 Heat the oil in a frying-pan and fry the rolls in it, using a Glem hob. Remove them from the frying-pan with a slotted spoon and place on kitchen roll for a few moments before serving. 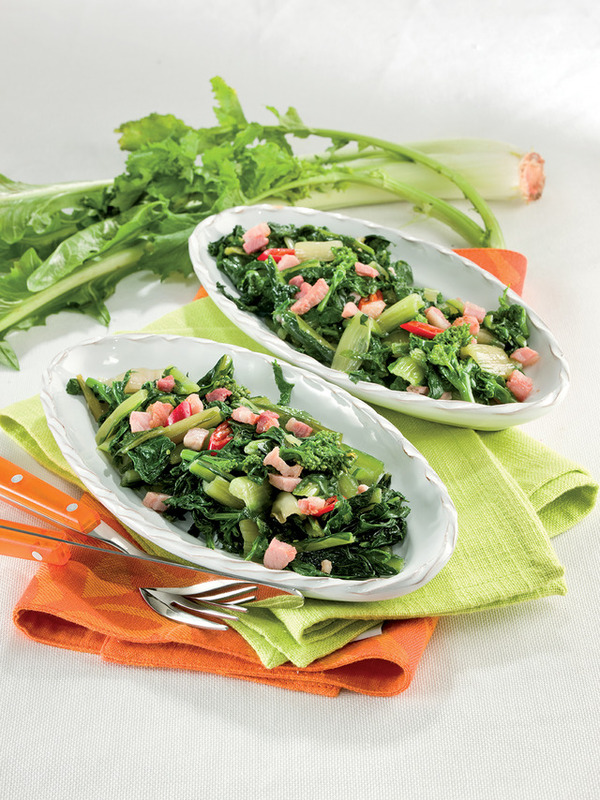 Sage leaves can be used instead of the asparagus. Wash and dry the cherry tomatoes, cut them in half and leave them in a colander with a pinch of sugar for half an hour to remove their acidity. Cut the rabbit into very small pieces. 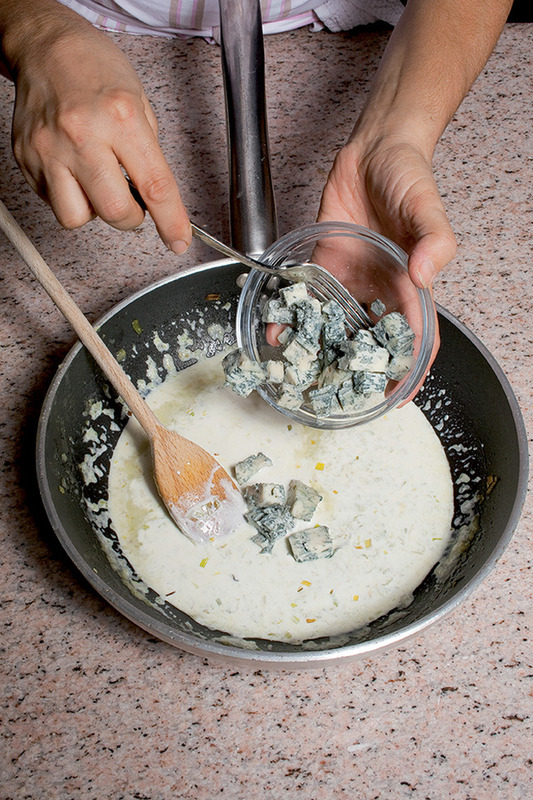 Crumble the feta with your fingers. 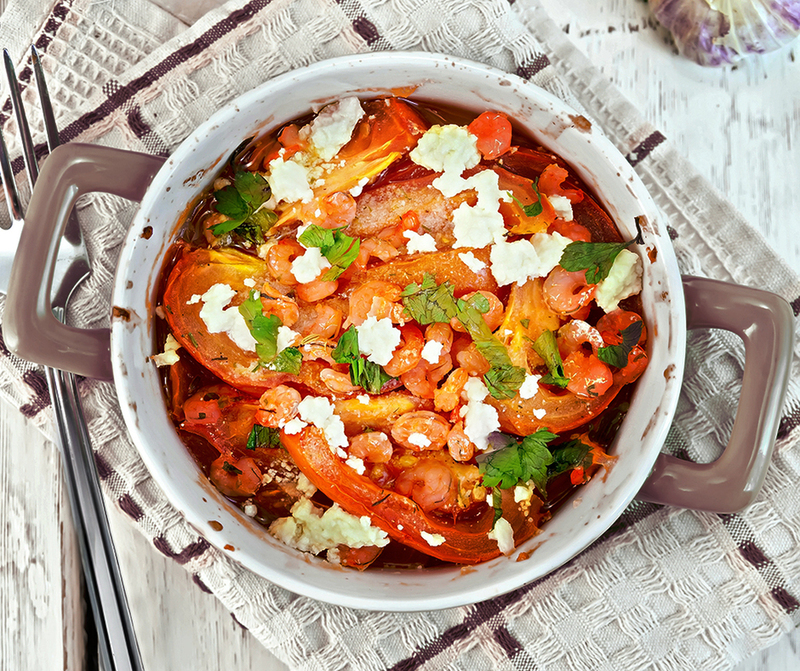 Mix the rabbit, feta, pepper, garlic, paprika and sage and the other finely chopped herbs, which may be varied to personal taste. 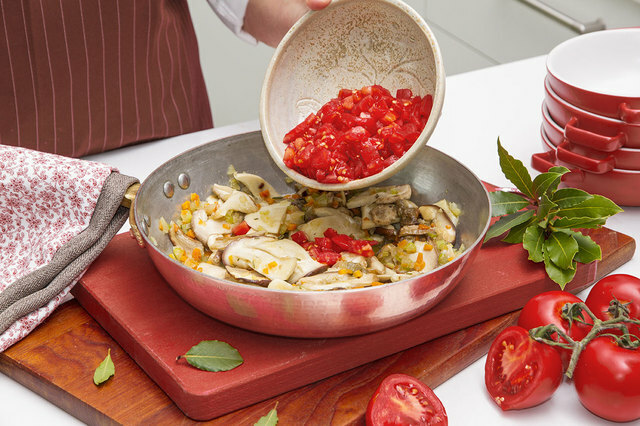 Put the mixture in a single-serving terracotta stewing dish (or another container intended for the same purpose) and add the tomatoes, the finely chopped basil leaves and a dribble of oil. Cook in a Glem oven using the static function at a temperature of 180° for about 20 minutes and serve in the cooking dish. Finely chop the veal, pork and sausage meats together. Mince the prosciutto and mortadella into a separate pyrex dish. Cook the finely chopped pork and veal in a pan for a few minutes, season with salt, drain any water released during cooking and then leave to cool. In a large bowl combine the cooked finely chopped meat, the uncooked prosciutto crudo and mortadella, the breadcrumbs, 1 egg, the Parmigiano Reggiano and the nutmeg, then season to taste. Mix together well and place in the refrigerator. 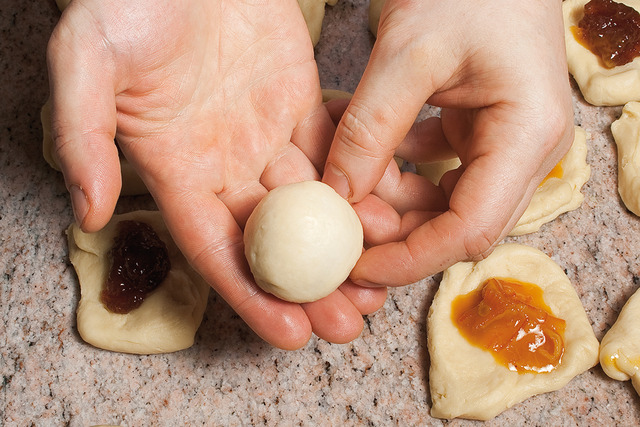 Knead the flour and eggs together until you have a smooth, uniform ball of dough. 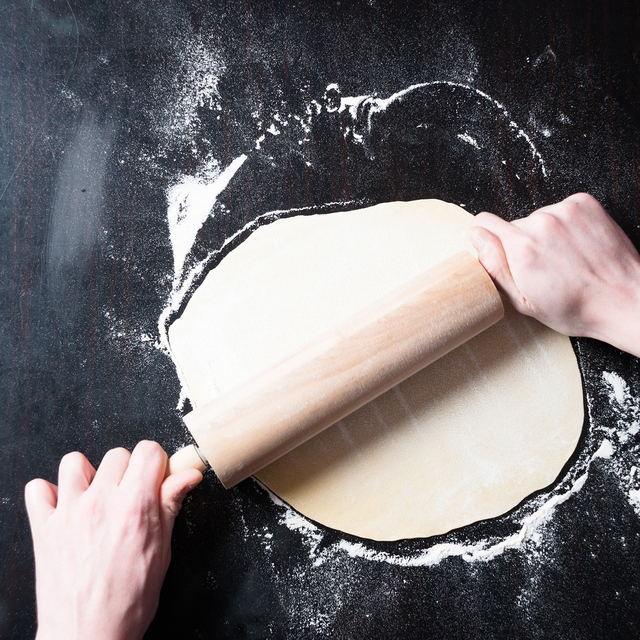 Using a rolling pin, roll out into a thin sheet and cut into small squares measuring 3 cm per side. 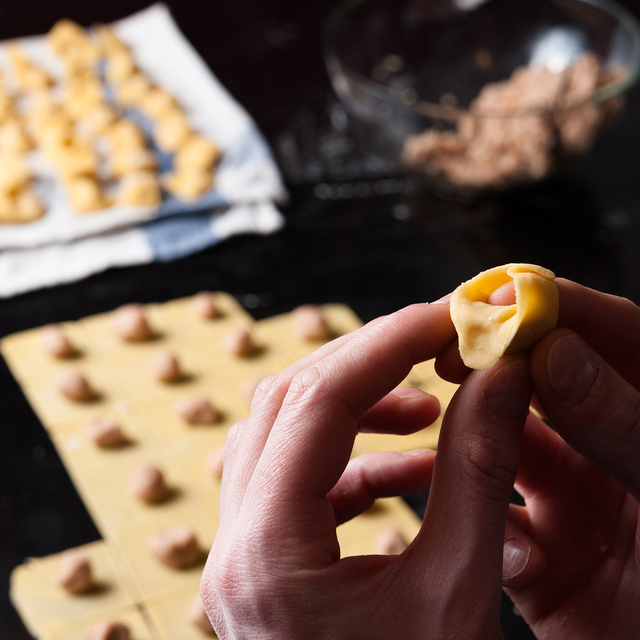 Dot a small amount of filling in the centre of each square, then fold the pasta into a triangle, sealing the edges firmly. 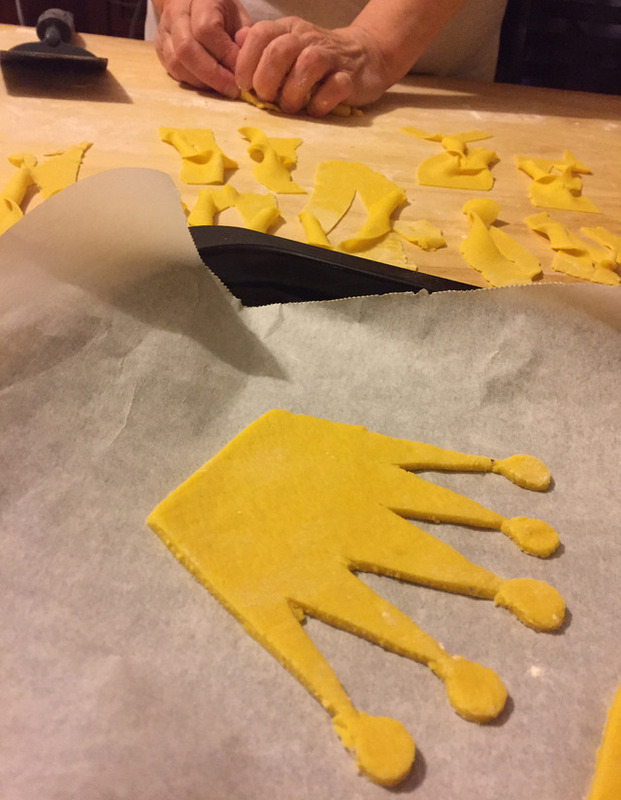 Fold the triangle by joining the two opposite points together around the tip of your finger and press the tortellino so that the pasta seals together properly. Proceed in this manner until you have used up all the ingredients. Filter the meat stock and bring it to the boil. 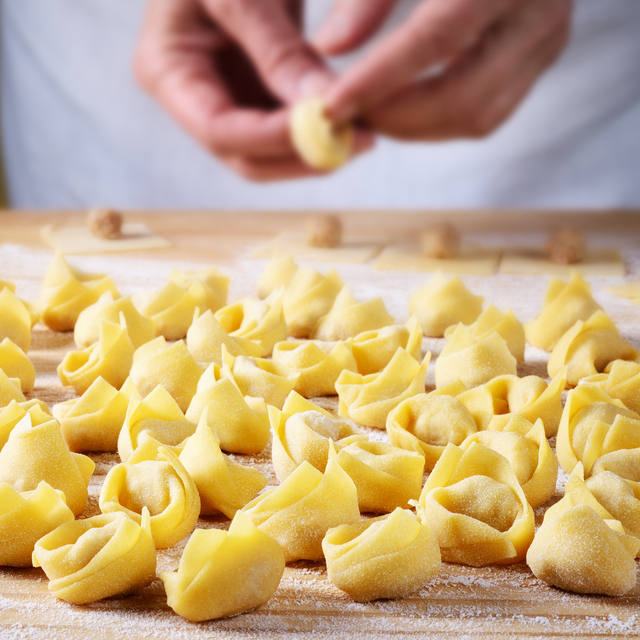 Gently toss in the tortellini and let them cook for at least 3/4 minutes. 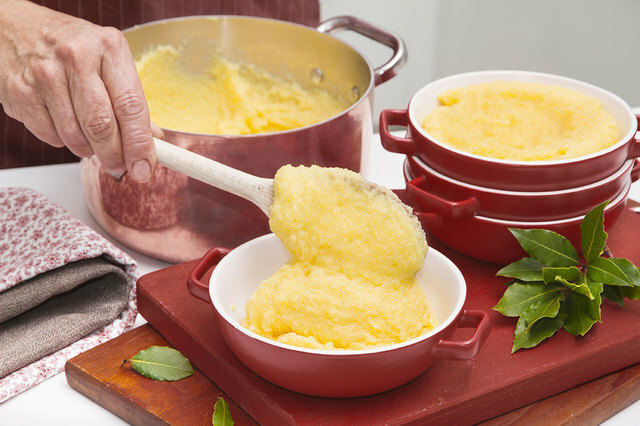 Serve them piping hot with the same stock and add a generous sprinkling of grated Parmigiano Reggiano. 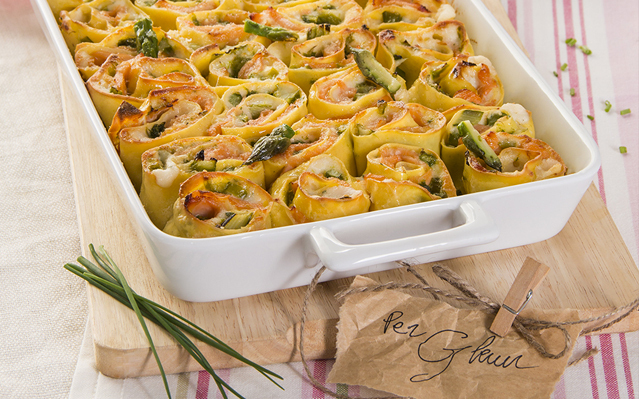 If you want to prepare a more everyday version that is guaranteed to impress your guests as a creative take on the traditional recipe, Glem also brings you tortellini "light"! Share and let us know how it went! 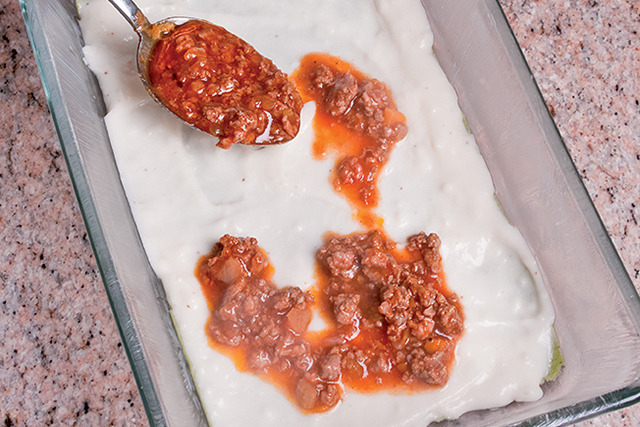 Mix the white meatloaf mix with a level spoonful of sesame seeds, varying the amount to taste. Divide the mixture into 4 equal parts and roll each part into a cylinder about 1 cm in diameter with the palm of your hand. Place the cylinders in a bowl of sesame seeds one at a time and roll them over to coat their outsides with seeds. Heat a little oil in a frying-pan and fry the rolls in it, turning them as they cook so their entire surface becomes golden brown. Remove with a slotted spoon and place on kitchen roll. Flax, sunflower or hemp seeds can be used instead of sesame, or different types of seeds can be mixed for a more complex flavour. The stick shape can also be varied, making a cake or combining two sticks to form a propeller or twist. Prepare a thin minced with the fillets of the anchovies. 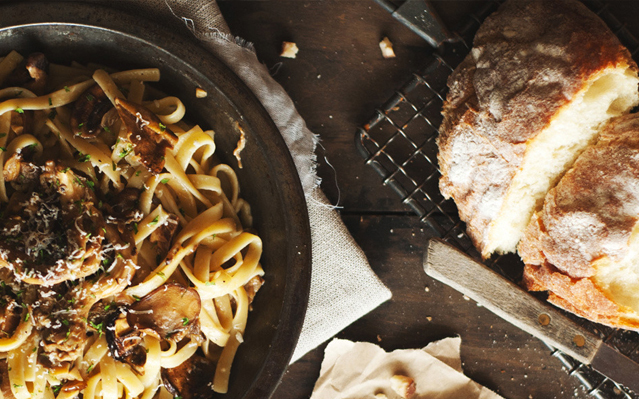 Pour 4 spoons of oil into a large pan and add the anchovies and the garli slightly crushed. 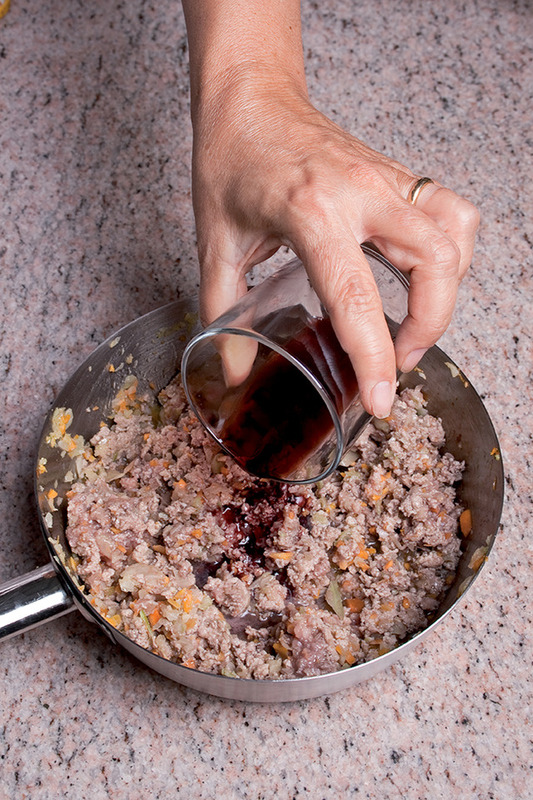 Make the mince wither, then add the bread reduced into crumbs, and stirring let it brown. Boil the ziti in lot of salted water, drain and add them to the cherry tomato sauce; arrange them into dishes and sprinkle them with the crumbs. Heap the flour in a mound on a large board, then make a well in the centre and crack the eggs into it. 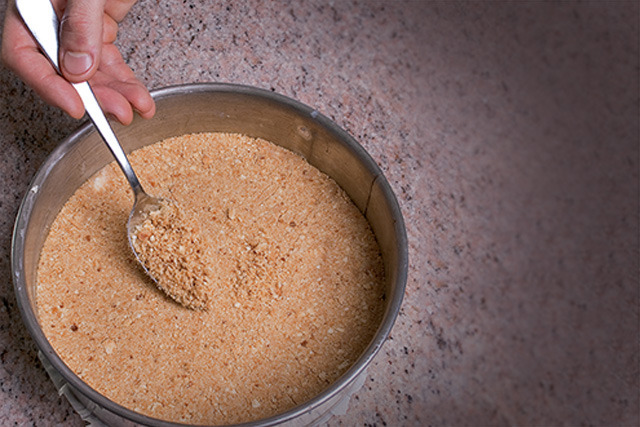 Dust with the sugar and a pinch of salt, then add the softened butter chopped into small pieces. Using your fingertips, start working into a dough, adding the rum too, then knead energetically until you have a smooth, uniform ball. Form a log shape and leave to rest at room temperature for half an hour. 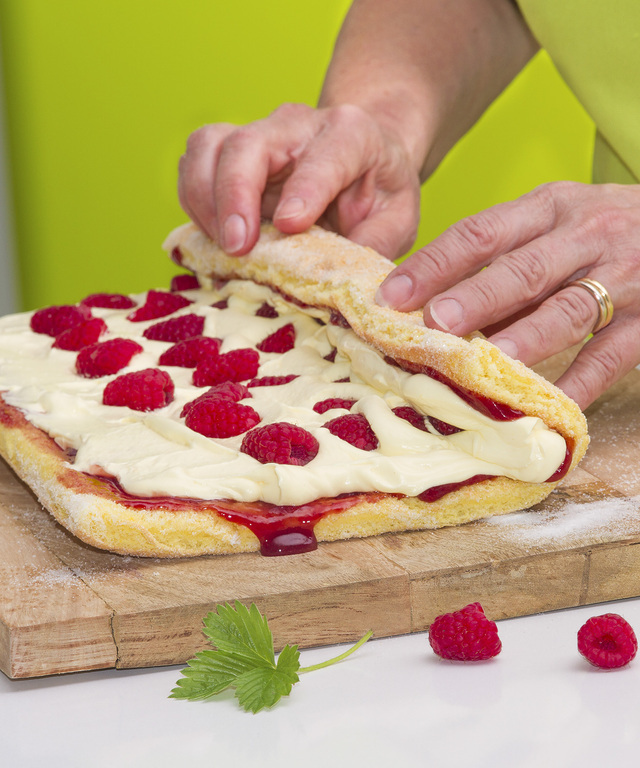 Then roll the pastry out into a rectangle half a centimetre thick. Fold it into quarters lengthwise and leave to rest again for another 15 minutes. Next, roll the pastry out until very thin and use a pastry cutter to cut out strips approximately 12 cm long and 3 cm wide. In the middle of each strip, make a 3 cm lengthwise slit; pass one end of the strip through the slit and pull gently through the other side. Heat plenty of seed oil in a large frying pan with a basket; pop three or four pastries at a time into the hot oil and fry until golden all over. 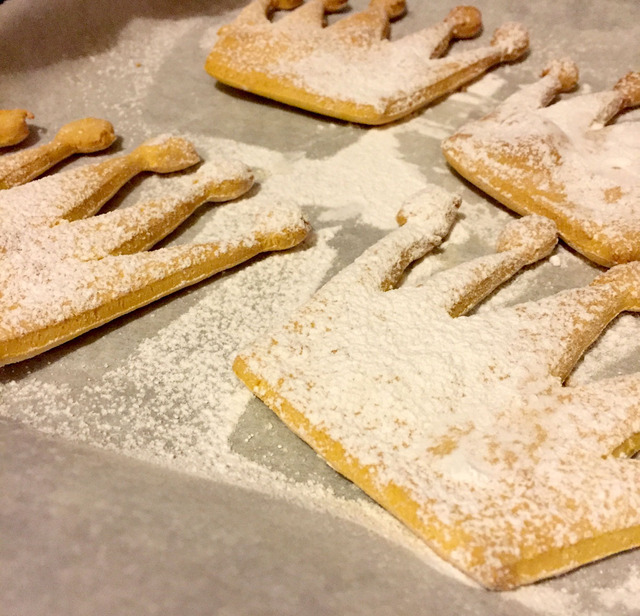 Once cooked, drain them on kitchen paper before dusting with icing sugar and serving. 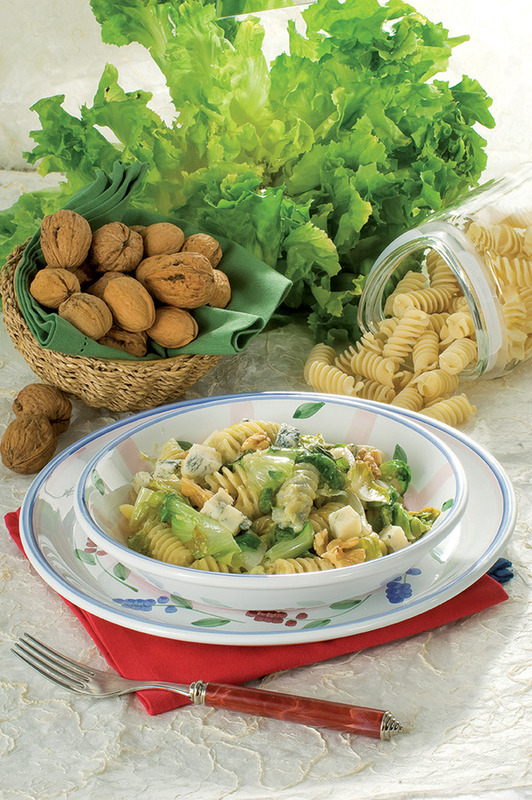 Other nuts such as hazelnuts, almonds, cashews or others can be used instead of walnuts, pine-nuts and pistachios. Divide the meatball mix into 3 equal parts of 60 g each. Add the walnuts to the first of the 3 parts and mix. Divide the mix into 4 parts, form 4 meatballs and flatten them. 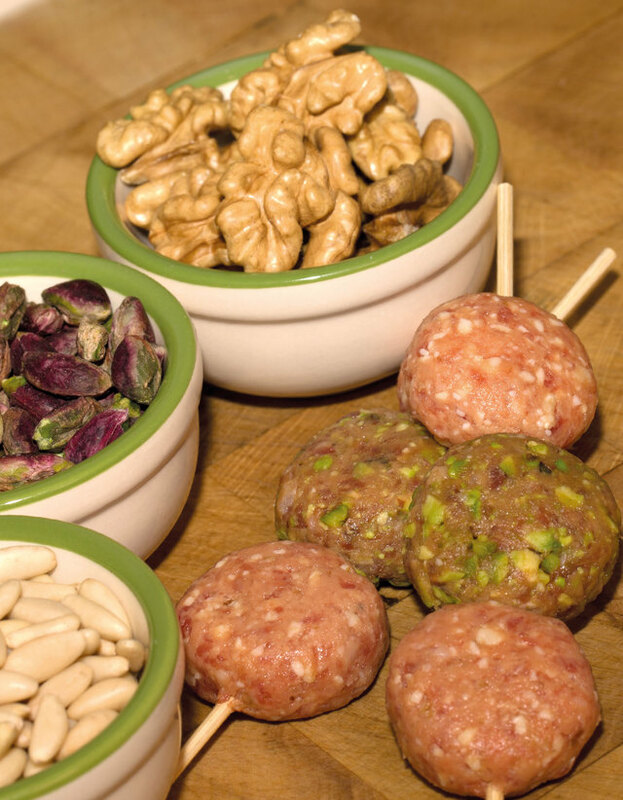 Proceed in the same way with the other 2 parts of the white meatball mix, adding the pine-nuts and pistachios respectively and making 4 flattened meatballs of each type. Place three meatballs, one of each type, on a skewer so that they will occupy almost the entire length of the skewer and will cook well. Create the other kebabs in the same way. Oil the bottom of a non-stick frying pan, place the skewers inside and put the lid on. Cook for about 5 minutes on a rapid burner of a Glem hob at the minimum setting, remove the lid and check cooking: if the meat has changed colour through half its depth it is time to turn the kebabs over with the aid of a fish slice. Complete cooking on the other side in a few minutes. Cooking over medium-low heat initially ensures that the core of the meat is cooked; to complete, the heat must be turned up for a crispier outside surface. The recommended portion is a couple of rolls per person. Spread out the slice of meat on the worktop and place the half slice of roast turkey and mascarpone cheese on top. Wrap the roast turkey around the mascarpone and the meat around the turkey bundle, folding it over on itself and turning the sides into the middle to complete the package with the filling inside. Make a hole in the roll with a toothpick and insert the clove so that it stays on the surface like a button. 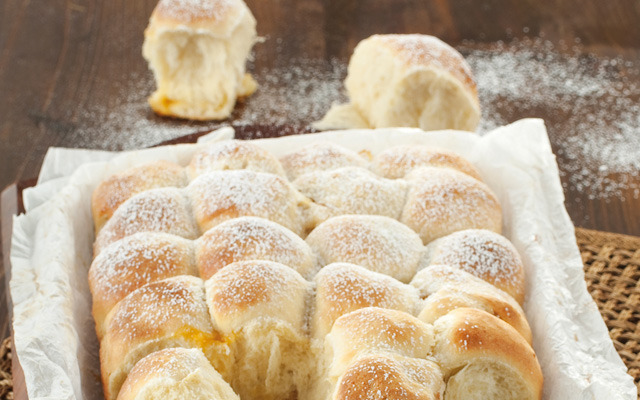 Melt the butter in a frying-pan, coat the rolls with flour and brown them, turning them over so that all sides are evenly cooked in this first phase. Pour the fresh squeezed orange juice over the rolls. Turn down the heat and cover the frying-pan. Take the lid off and turn the rolls if necessary. The rolls will cook in a few minutes. The serving dish can be decorated with sliced orange medallions. 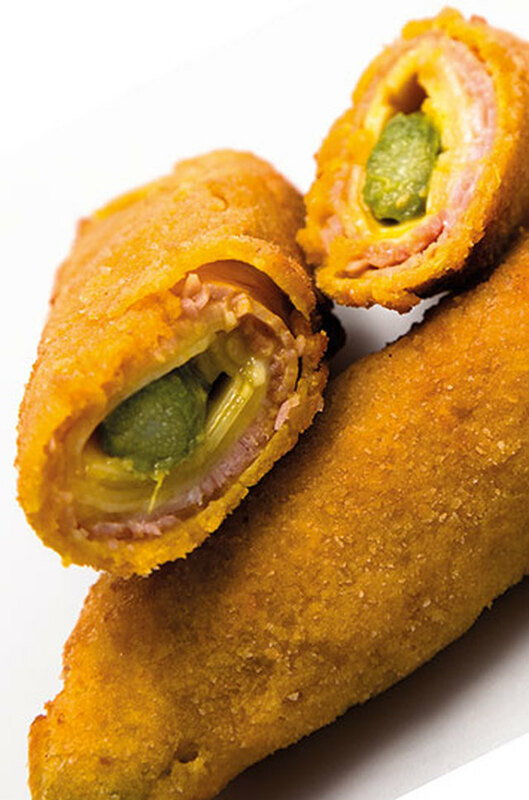 Orange-flavoured veal and mascarpone rolls are an excellent example of the versatility of meat, which can often be combined in unconventional ways with surprising results. This dish features an intriguing combination of ingredients, is attractive to look at and tastes delicious. Cake: melt the chocolate and set it aside. 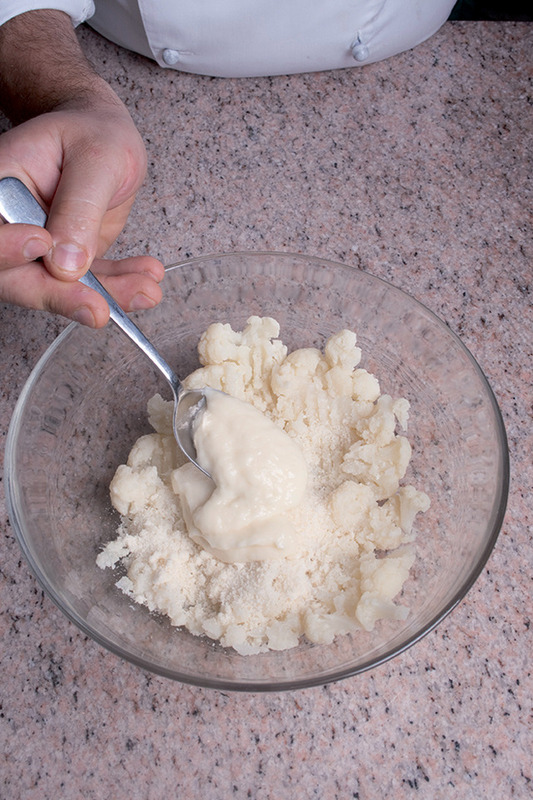 Mix the butter with 100 g of sugar in a bowl. Blend in the egg yolks (one at a time), the melted chocolate and the flour, sifted with the salt and baking powder. In another bowl, whisk the egg whites until stiff with the rest of the sugar, then add them to the mixture. Fold in carefully, stirring from the bottom up. Turn the mixture out into the buttered and floured cake tin, levelling the surface. Bake the cake in the oven preheated to 175°C for 42/45 minutes. When done, remove from the oven, turn out and leave to cool on a grid. Filling: cut the cake in half to form 2 discs, then coat the bottom half with the apricot jam. Put the cake back together and brush it all over with the hot apricot jelly. Icing: melt the chocolate with the butter in a hot bain-marie and set aside. Heat the icing-sugar and water until the syrup is simmering, then pour in the melted chocolate and butter and return to the boil. 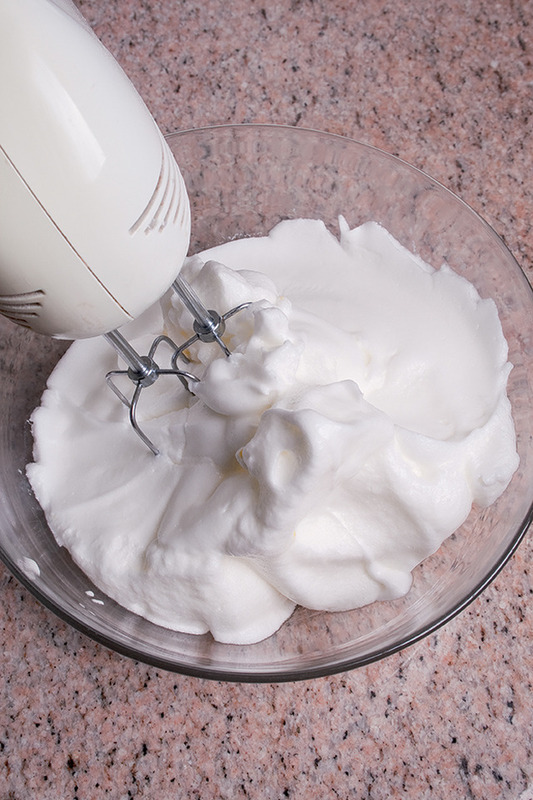 Take off the heat at once and whisk the icing briskly until it is velvet-smooth, then cool to room temperature. 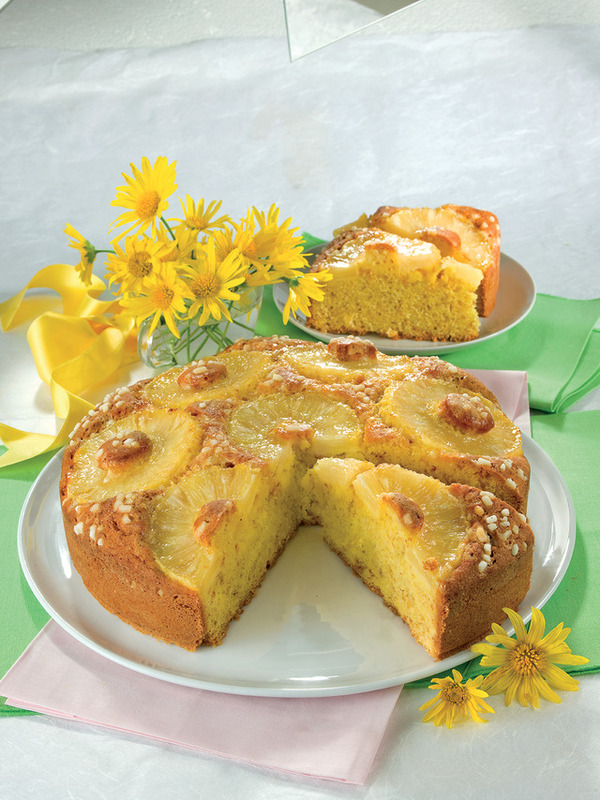 Pour the icing over the cake but set 3 spoonfuls aside for the name. 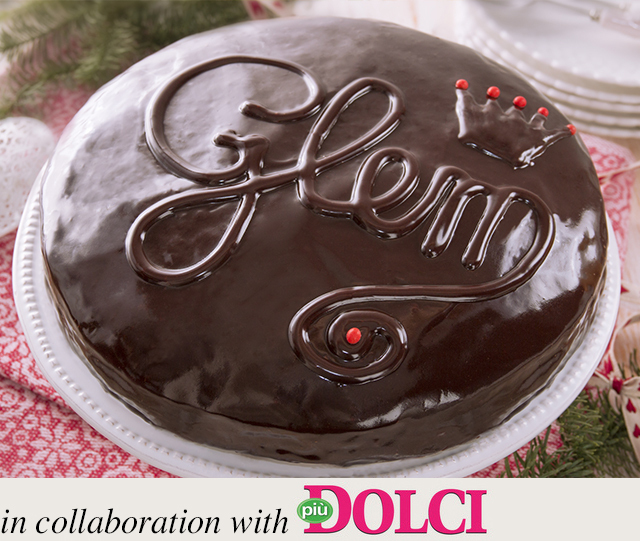 Transfer the icing set aside to an icing bag and complete decorating the cake by adding the name "Glem", then finish with a few red cake decorations. Wash and dry the cherry tomatoes and cut them into eighths, then leave them to stand for half an hour in a colander with a sachet of sugar, which will help to remove the acidity. Cut the sun-dried tomatoes into small pieces with kitchen scissors. Wash the basil leaves, dry them and tear them up by hand. Slice the cheese into flakes with a potato peeler. 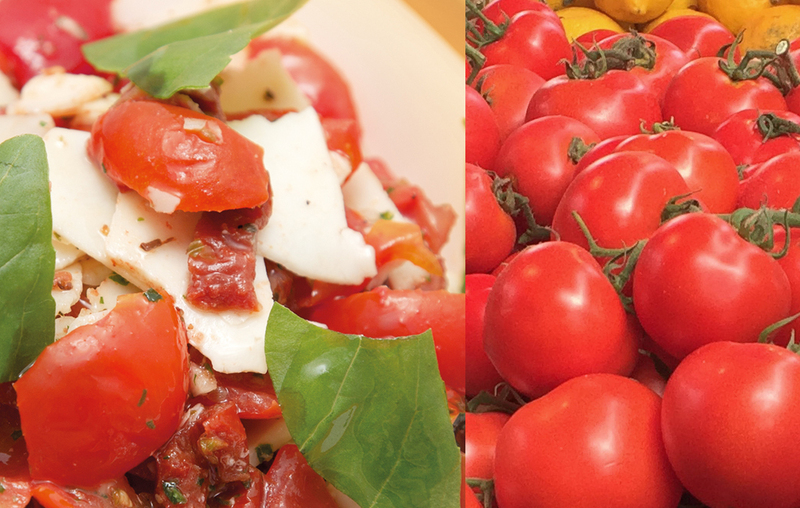 Mix the garlic, parsley and fresh and dried tomatoes in a bowl, add the cheese and mix again, then complete with the oil, salt, pepper, oregano and basil. 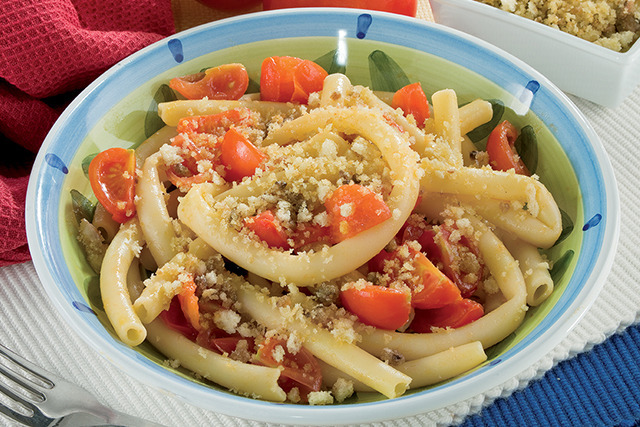 This easy, light, delicious Tasty Tomato Sauce is also ideal on cold pasta. 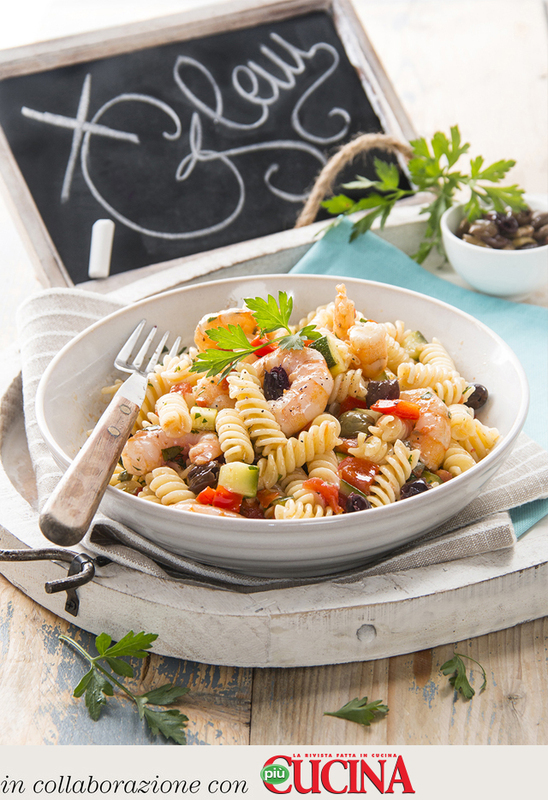 Use short pasta shapes such as "fusilli" spirals or "penne" macaroni and serve at room temperature or after a few hours in the refrigerator. Soak the dried mushrooms in warm water until reconstituted. Fry the crushed garlic cloves and the finely chopped onion gently in the oil with the rest of the vegetables. 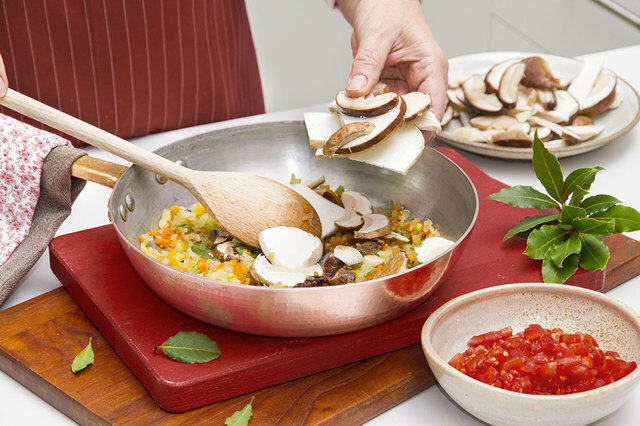 Add the mushrooms (the dried ones chopped and the fresh ones sliced), the bay leaf and the rosemary. Fry and quench with the wine. Boil off the wine with the lid off the pan, then add the diced tomato. Add salt and pepper. Cook for 25 minutes, gradually adding hot water if necessary. 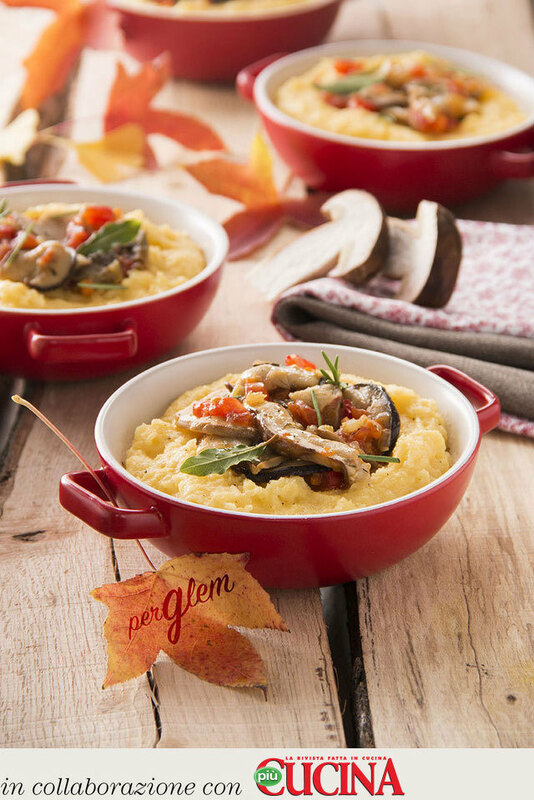 Polenta: make the polenta following the instructions on the pack, and when done pour into greased single-portion heat-proof dishes, add the mushroom sauce in the middle of each dish and serve. Spread a layer of béchamel sauce over the bottom of the oven dish, place a layer of pasta on it and then apply another layer of béchamel sauce above it. Then add a thin layer of creamed artichokes and sprinkle it with pecorino, with a few whole leaves of artichokes conserved in oil on top. 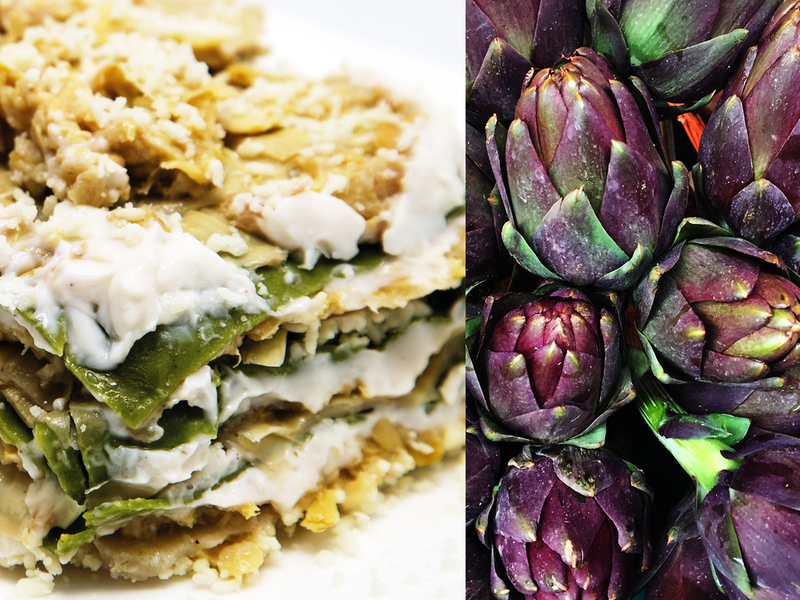 Proceed, alternating the ingredients in the order pasta, béchamel sauce, creamed artichokes, pecorino cheese and artichoke leaves. 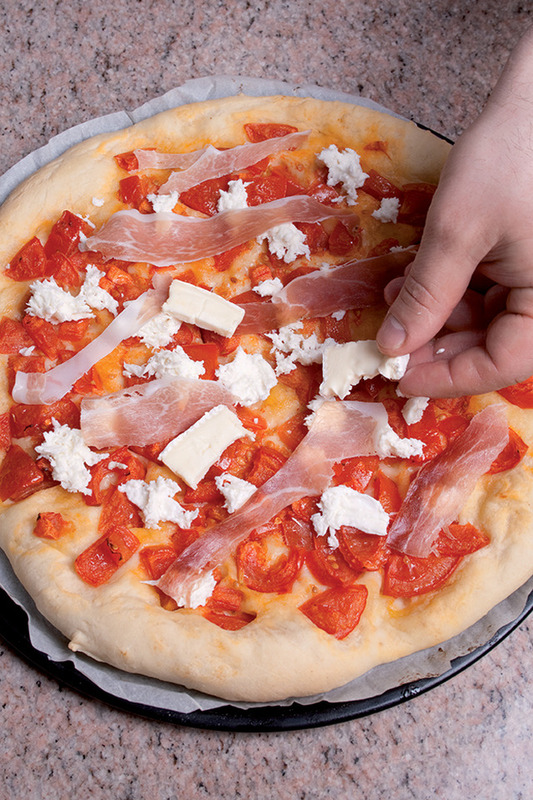 Form several layers until the depth of the oven dish has been filled and complete the top layer with plenty of pecorino cheese. Bake in a static oven for 30 minutes at a temperature of 180 degrees. 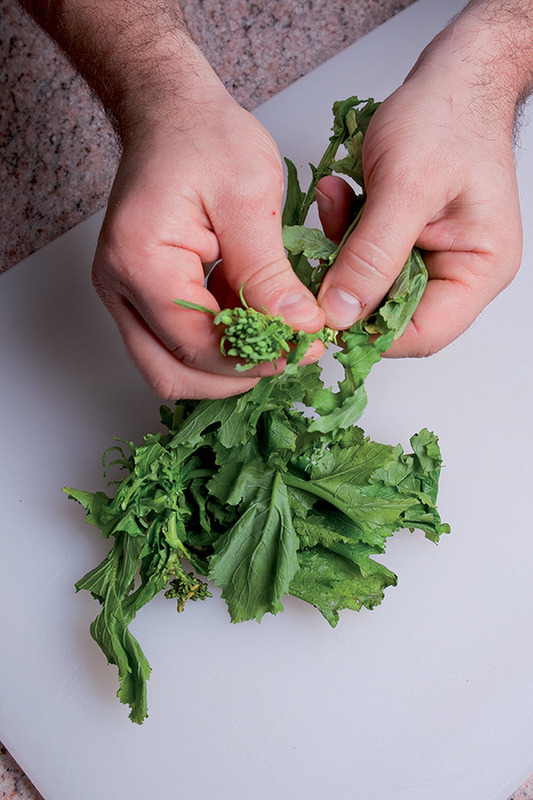 Chop the capers with the parsley. Fry the chopped garlic gently with the finely chopped shallot and the olives in 4 tbsp of oil, add the diced vegetables and salt and pepper and cook for 15-20 minutes, adding water as necessary. 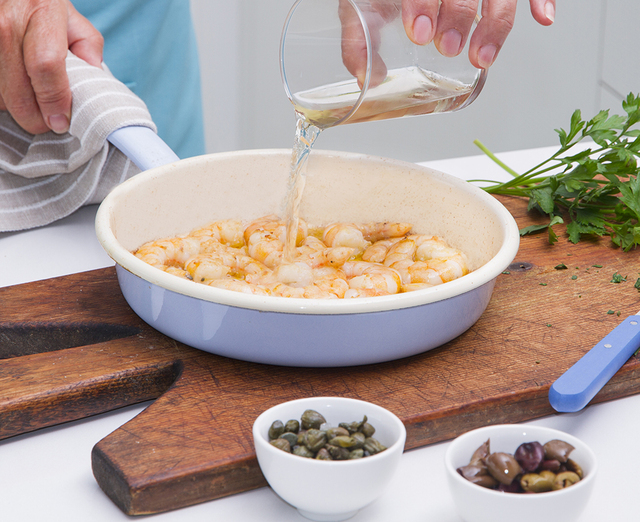 Fry the prawns in a little oil in another frying-pan for 1-2 minutes then quench with the wine and allow it to evaporate. Add salt to taste. Add the prawns to the vegetables, without any further cooking. 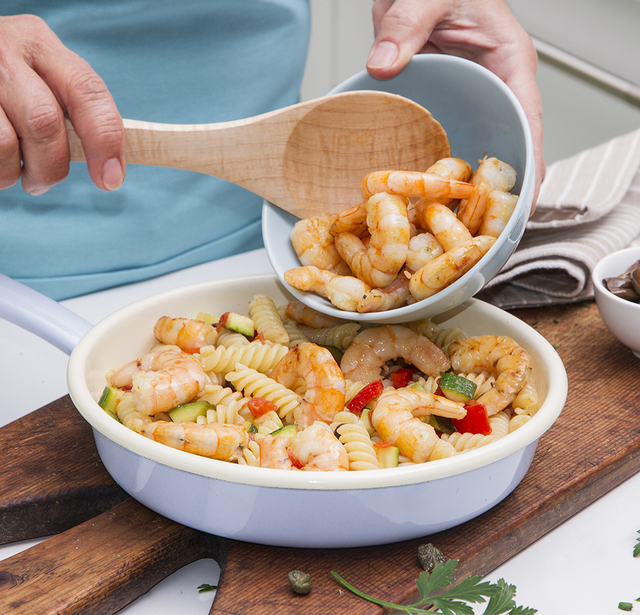 Boil the pasta in plenty of salted water, drain while still al dente then toss it in the frying-pan with the sauce. 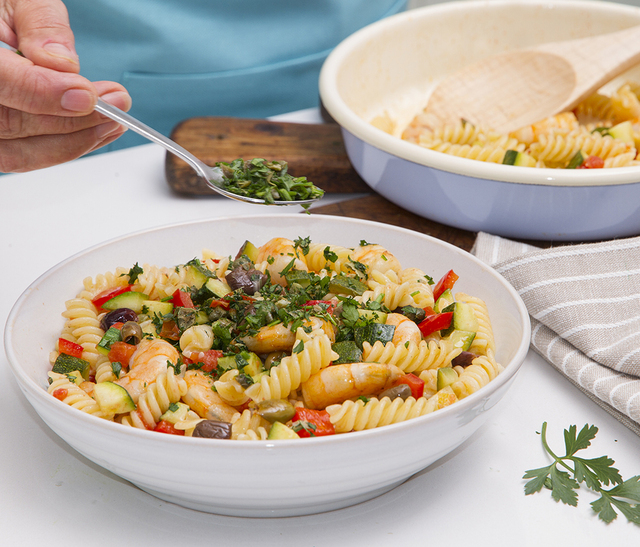 Garnish the dishes with the chopped parsley and caper mix and serve. Roast the chicken, remove the meat from the bones, also removing the skin and cartilage, tear up the meat with your hands and leave it to cool. Slice the Parmesan cheese with a potato peeler. Wash and dry the celery, remove the leaves and cut the sticks into strips. Pour a few spoonfuls of oil onto the meat, add the other ingredients and mix. 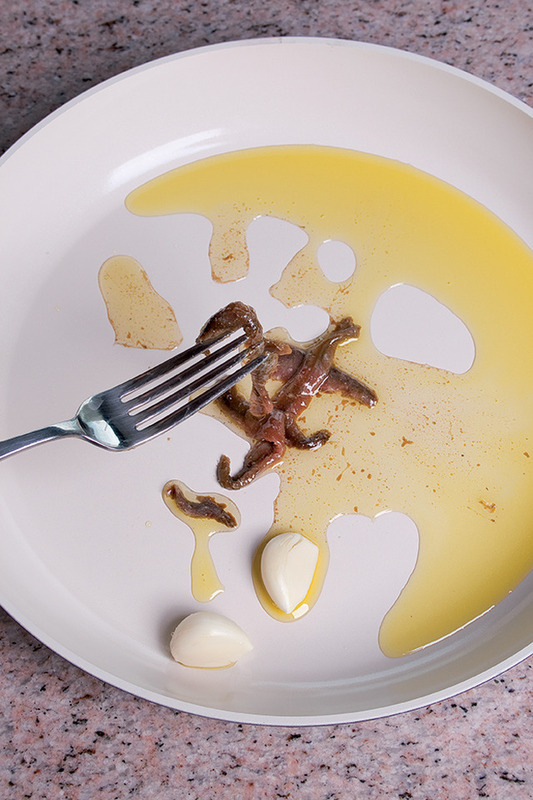 Transfer to a serving dish and serve at room temperature with a dribble of balsamic vinegar. 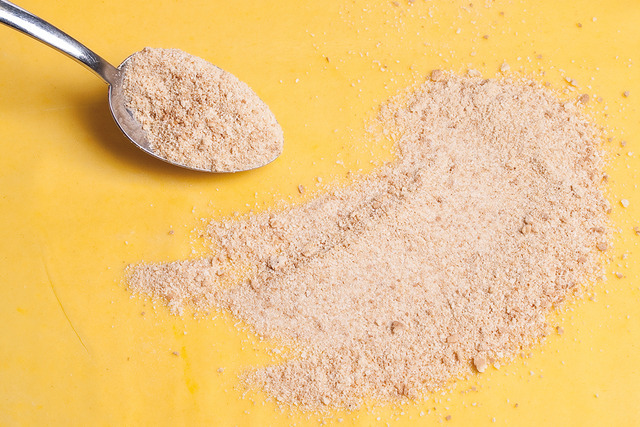 Blend parmesan, starch, salt and pepper in a blender. Add the egg and keep blending. Pour the cream and blend until the mixture becomes thick and smooth. 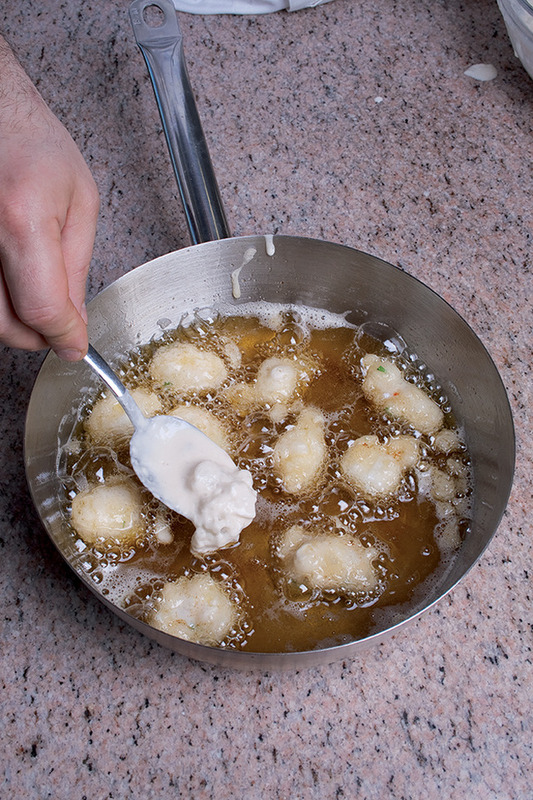 Grease the ramekins with butter and pour in them the creamy mixture in equal portions. Place the ramekins on a baking tray, then add water in the tray until it reaches a centimetre in depth. Bring the oven to 180°C in static mode, place the tray in the oven and bake for about 30 minutes. Leave the flans to cool a few hours at room temperature to let them set. 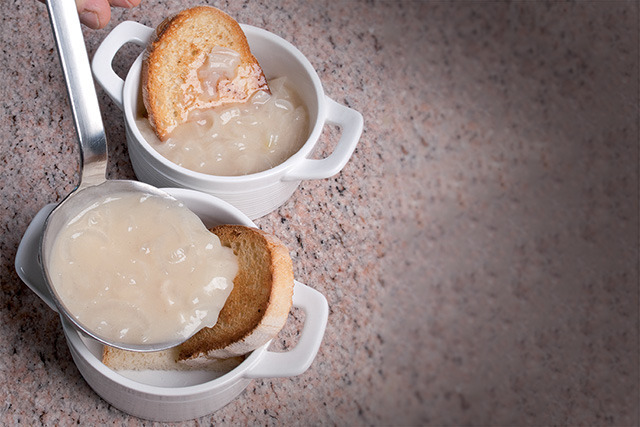 To serve them, place each ramekin upside down on a plate, and carefully remove the container to detach the flans. Heat them up in the oven for a few minutes and decorate them with a few drops of balsamic vinegar, truffle cream, saba (grape must reduction) or any dressing you like. 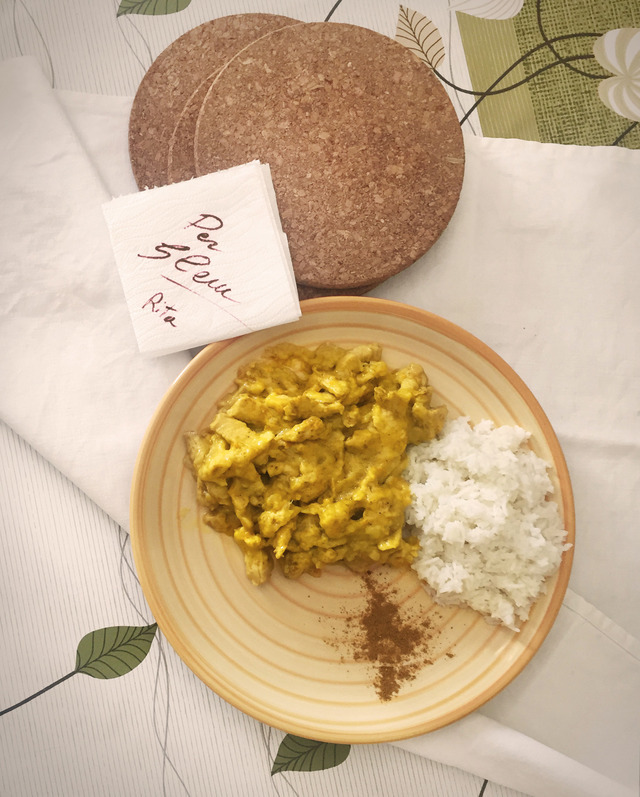 The recipe comes from a modern interpretation of a dish presented at a cooking class organised for Modena’s butchers’ group. It became part of the gastronomic offering of the Alberghini Butcher Shop and it is prepared in a wide variety of flavors. 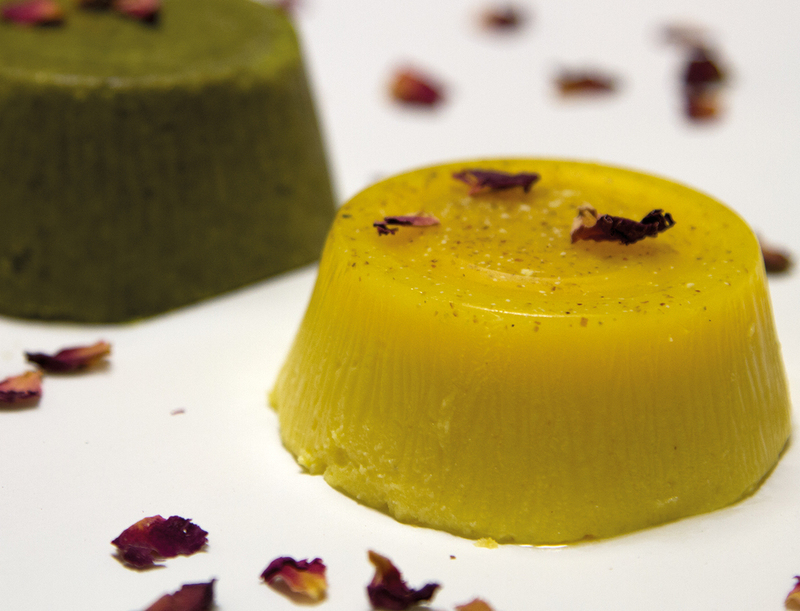 The parmesan one is the traditional recipe, which can be adjusted to make various colourful versions of the basic flan. - a touch of your creativity! 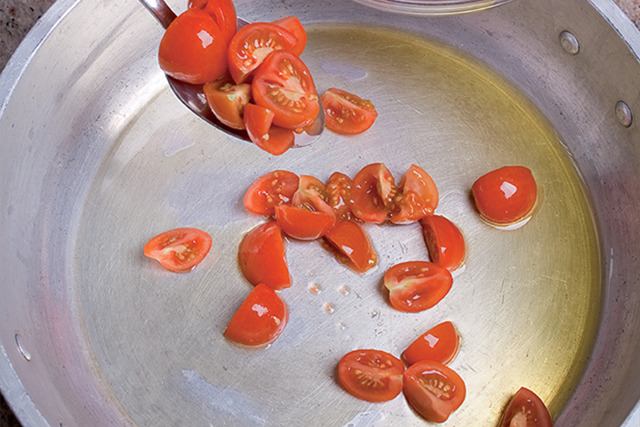 Wash and dry the cherry tomatoes and cut them in half. Chop the sun-dried tomatoes into small pieces. 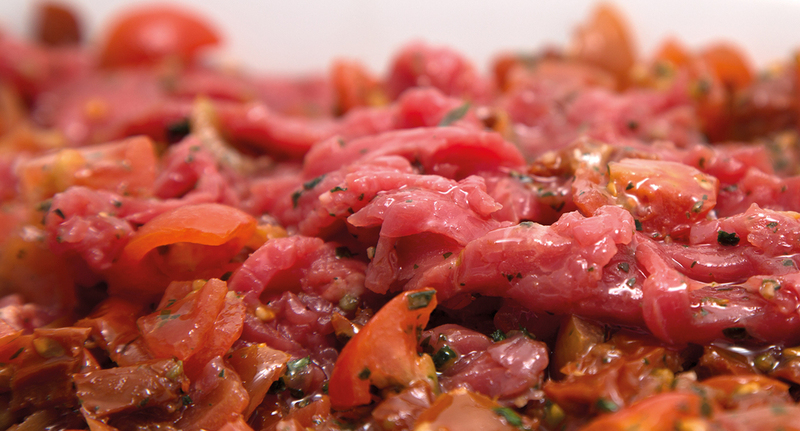 Mix the meat, the fresh and dried tomatoes, the garlic, the parsley, the salt, the pepper and the oil in a bowl. The dish is now ready for cooking. Heat a non-stick frying-pan and cook the mixture for 10-15 minutes over strong heat, stirring or tossing from time to time. Cream: pour the milk into a saucepan with the beans taken from the vanilla pod, bring to the boil and leave to stand for 30/40 minutes before filtering. Beat the egg yolks with the sugar, add the flour and starch, then gradually thin with the milk. Cook the cream, stirring continually, until it thickens (it should be firm). 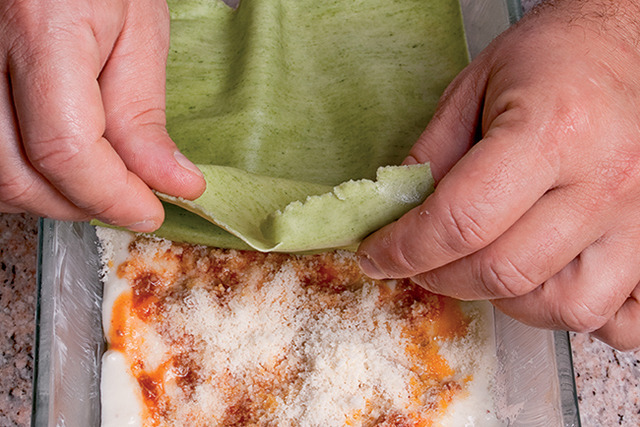 Cover it with food-grade film, place it in the fridge and leave it to cool. Sponge: whip the eggs thoroughly with the sugar and flavour with the grated rind of the lemon. Add the sieved flours and mix thoroughly, stirring from the bottom upward. 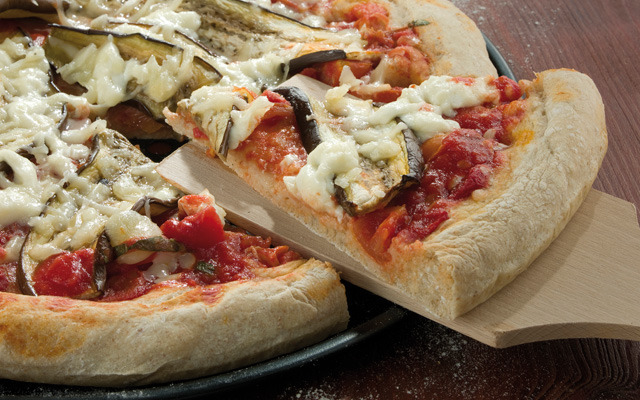 Pour the mixture into a baking tray lined with greaseproof paper, level the surface and bake at 185°C for 10 minutes. When cooked, remove from the oven and turn the sponge out onto a clean cloth sprinkled with sugar. Remove the paper, trim the edges and roll it gently; leave it to cool at room temperature, wrapped in the cloth. Raspberry filling: dilute the jam with hot water then sieve. 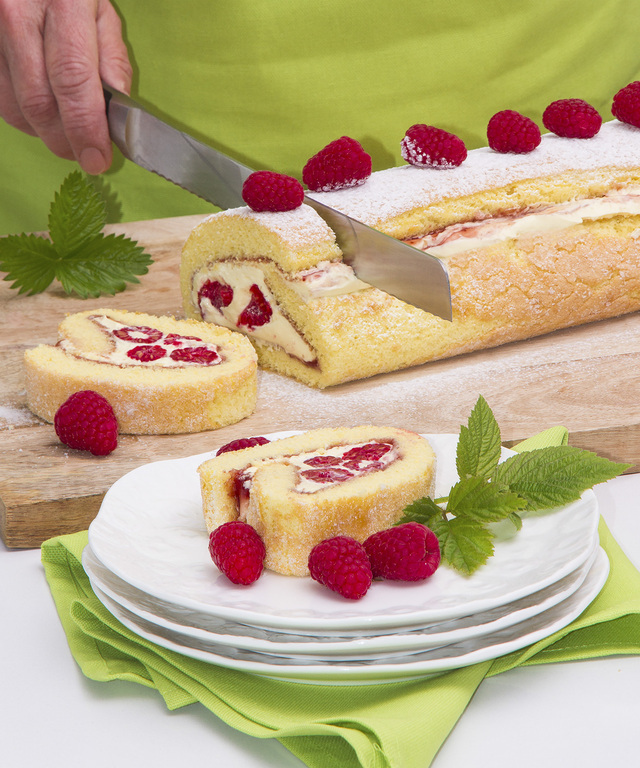 Assembly: gently unroll the sponge and spread it with the raspberry filling. 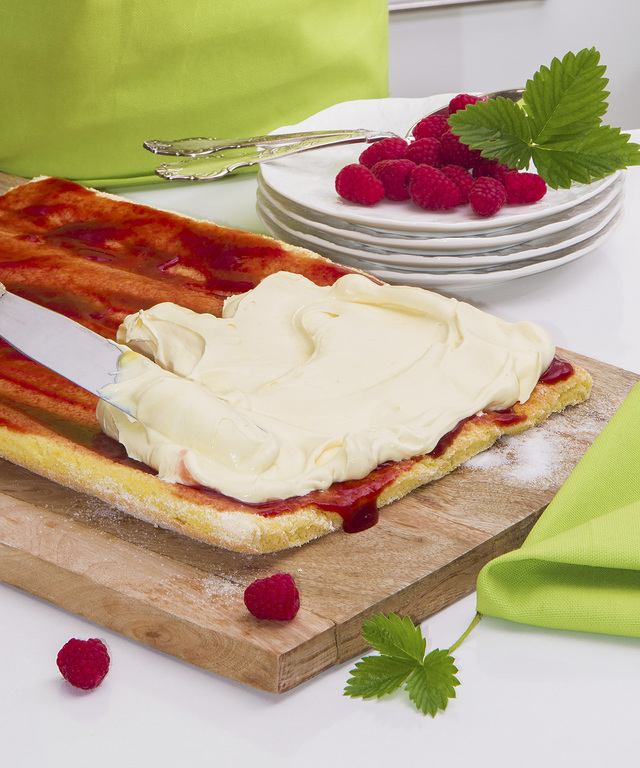 Stir the whipped cream into the cold Chantilly cream then spread it over the sponge, levelling it. 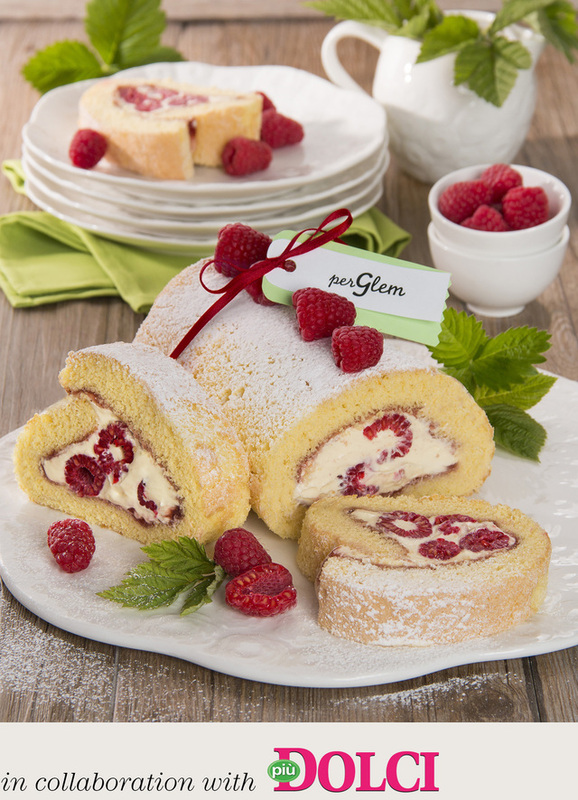 Dot with the raspberries, roll up the sponge, wrap in aluminium foil and place in the fridge for 5-6 ore.
Decoration: remove the aluminium foil from the roll, dust with icing-sugar and garnish with the raspberries. Cut the roll into slices and serve. 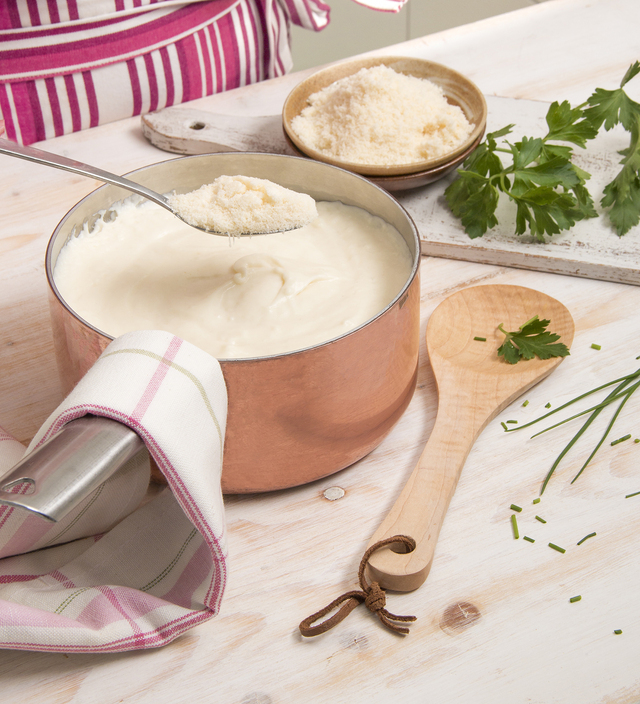 Béchamel sauce: heat the butter in a saucepan, add a drop of hot milk and the flour then stir briskly with a whisk to prevent lumps. Dilute with the rest of the milk and add salt. Place the saucepan over a moderate heat and keep stirring until it thickens. Take off the heat and after 5 minutes add the cheese, the chopped herbs and a dash of pepper. 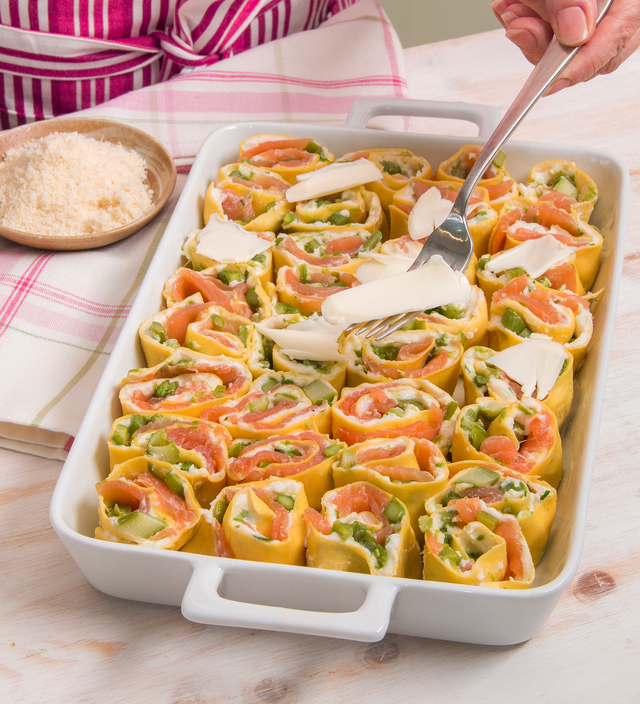 Roll out the pasta with the aid of the pasta rolling machine and cut into rectangles 20 cm long. 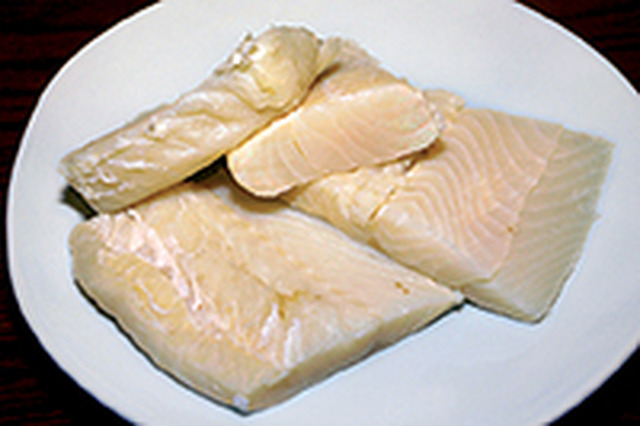 Cook very briefly in salted water with a tablespoon of oil. Drain and dry the pasta. 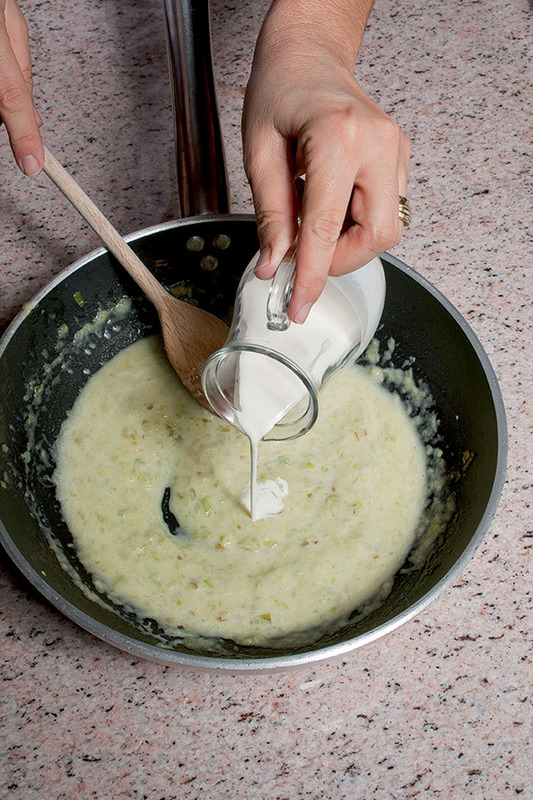 Place it on the work surface and spread with a layer of béchamel sauce. 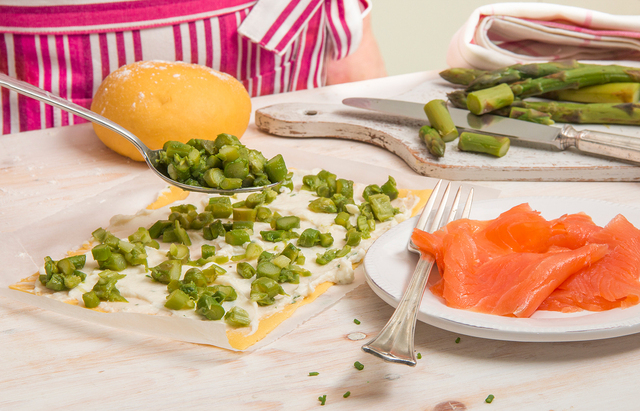 Place a few pieces of asparagus (set some tips aside for garnish) and the salmon slices on top. 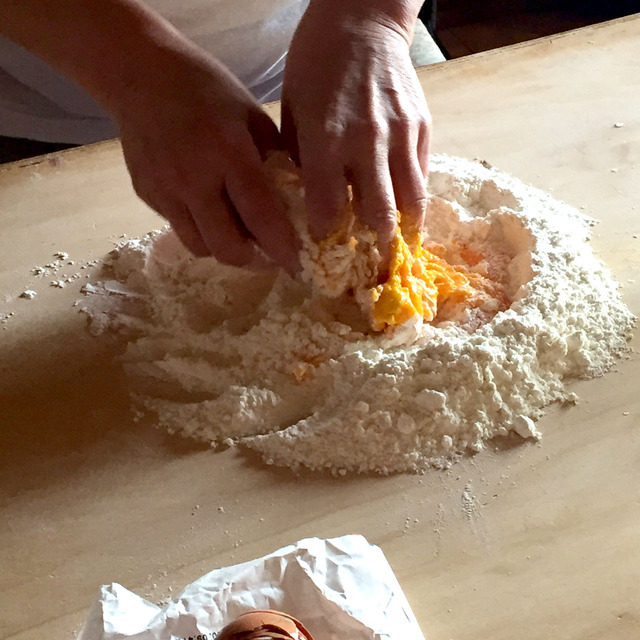 Roll up the pasta and cut into “rosette” rings 3.5 cm thick. Place them close together in a well-buttered oven dish. Cover with a few knobs of butter, the asparagus tips set aside and a generous sprinkling of Parmesan cheese. Bake in the oven for 190° for 30/35 minutes. 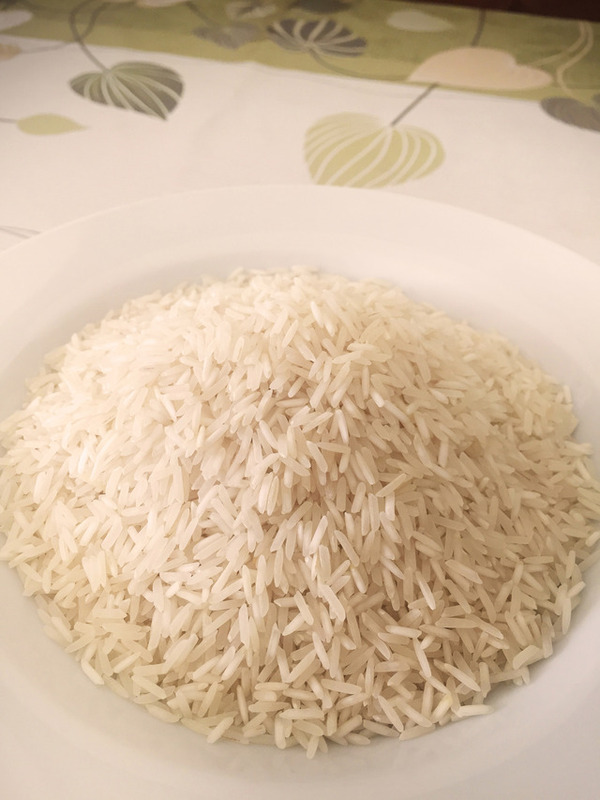 Rice:Place the rice in a bowl and rinse under running water, then drain with a sieve. Rinse several times without leaving the rice to soak, until the water runs clear when rinsing (usually 10 rinses). Place the rice in a pot, barely cover it with water (equal quantities of water and rice) and add a drop of seed oil. Bring to the boil. Turn the heat down to the minimum and cover with a lid, then cook for another 10 minutes. Turn the heat off and leave the rice to rest for 10 minutes. Remove the lid and fluff the rice with a fork. 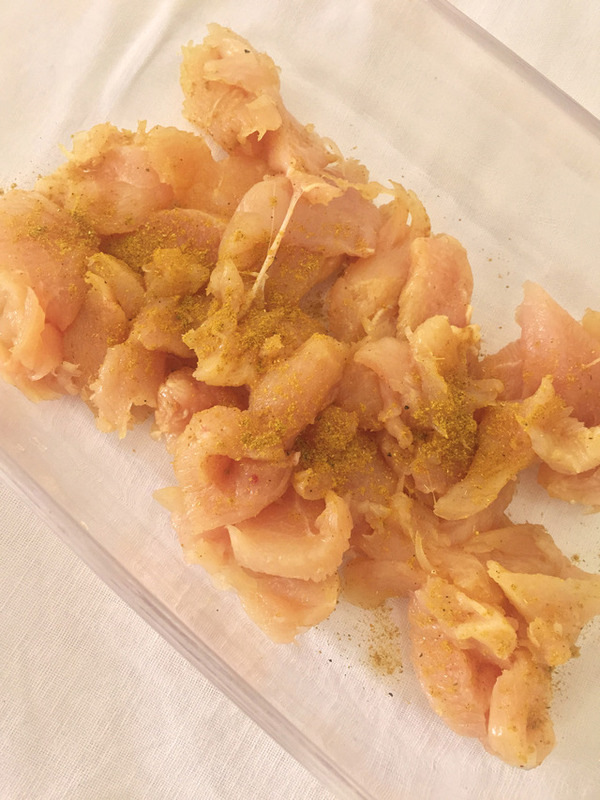 Chicken:Cut the chicken breasts into goujons and place them in a bowl with half a tablespoon of curry powder and salt and pepper to taste, leaving the flavours to mingle. Lightly fry the julienned carrot and shallot in a pan with a little oil. Next add the chicken goujons and cook for a few minutes. Soften by adding a glass of coconut milk and cook for another few minutes; add the flour and, if too dry, some more milk. 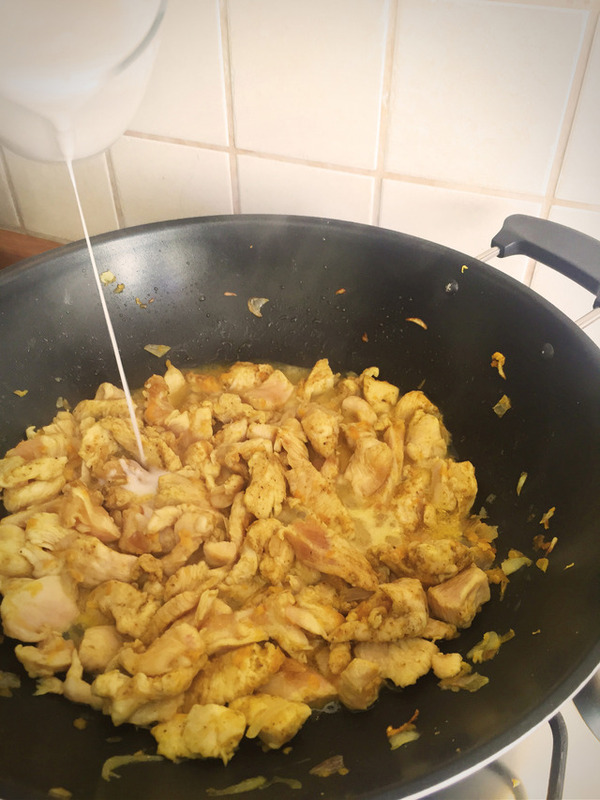 To finish off, spice up the flavour by adding half a tablespoon of curry and remove from the heat. Serve hot accompanied by the rice. 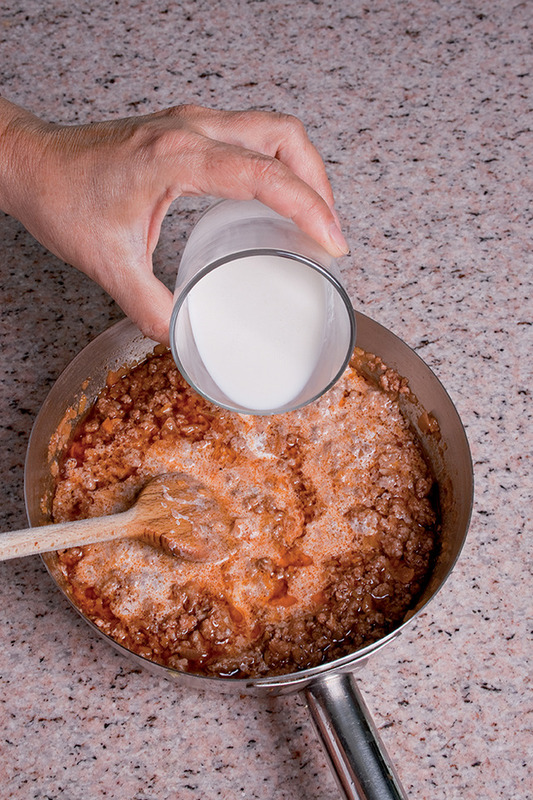 · Béchamel: heat milk. Aside, melt butter over a low heat and add some spoons of milk; then remove the mixture from heat, add flour and stir with the whisk so as to dissolve the lumps. Continue stirring in order to thin with the remaining milk. Put the pan on moderate flame and thicken the béchamel. Add salt. 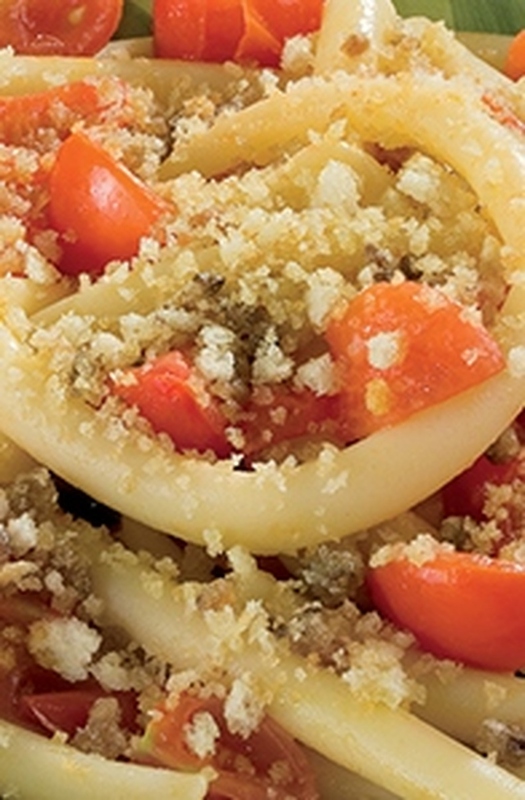 · Ragù: Chop up the vegetables and sauté them in oil with the bay leaves. 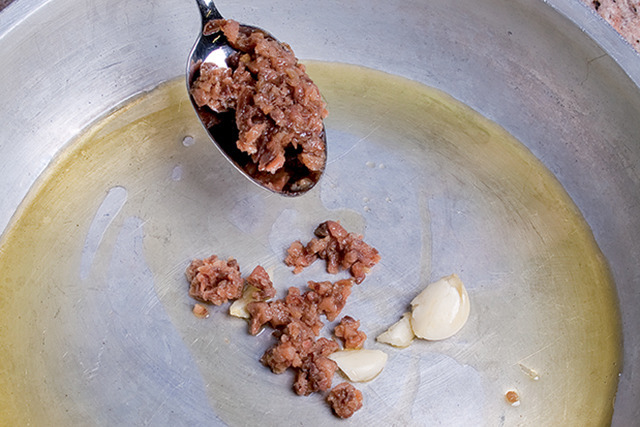 In a non-stick pan remove fat from the minced sausage, let it drip and add it to the sauce, along with the minced beef. When both meats are browned, add the wine and let it reduce. Add the tomato sauce, salt and pepper and continue cooking for 60 minutes adding few water if needed. 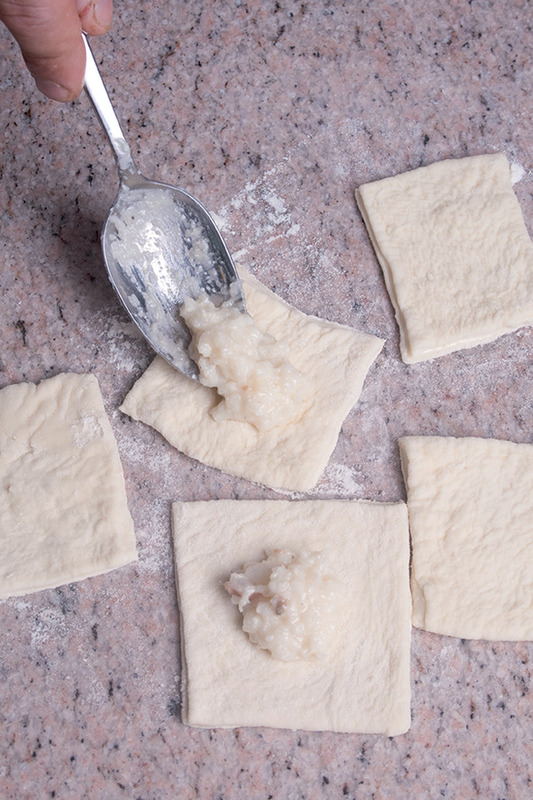 · Roll out the dough thin, make some rectangles and dip them in boiling salted water; then drain and dry them on a dish cloth. 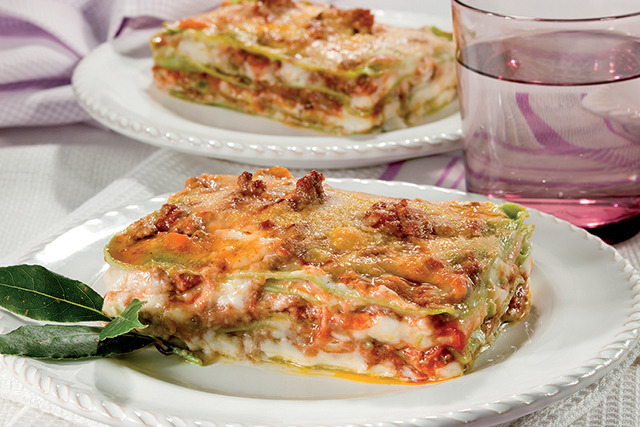 · Brush the mould with melted butter and cover the bottom with the rectangles of pasta without overlapping them too much, then add a thin layer of béchamel and cover with ragù. 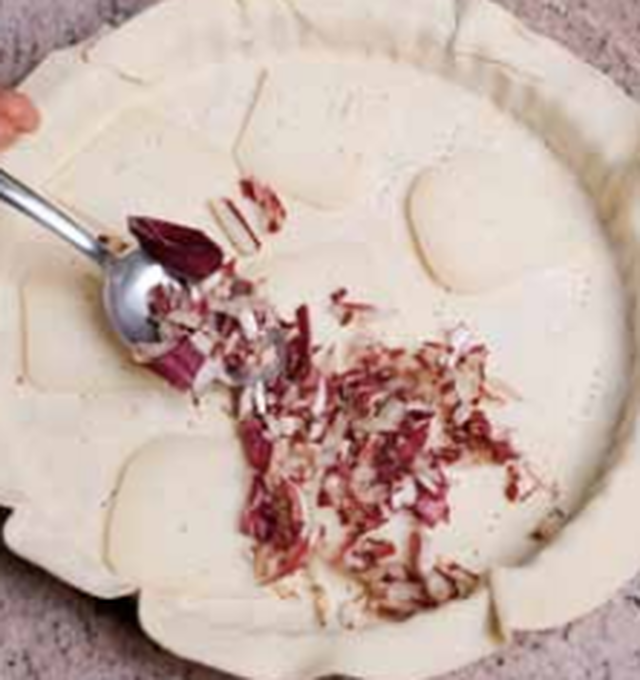 · Sprinkle a little grated parmesan and cover all with another rectangle of pasta. 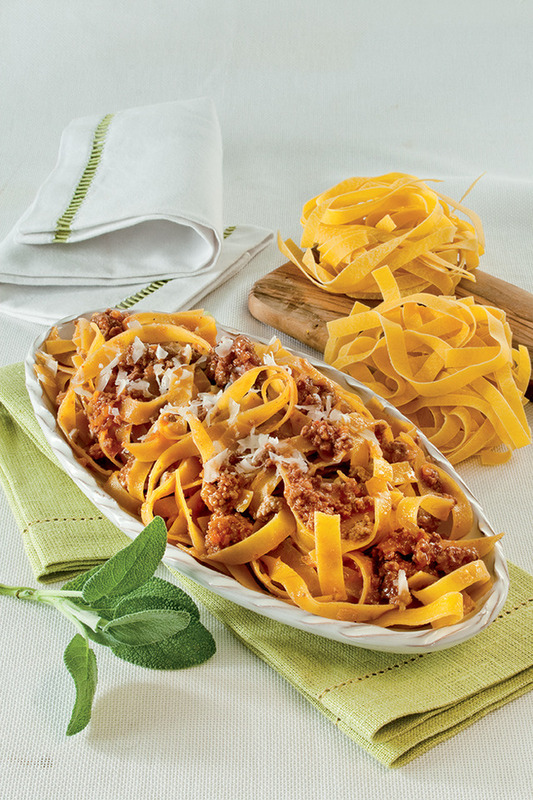 · Repeat again alternating until the ingredients are run out but finishing with the ragù. 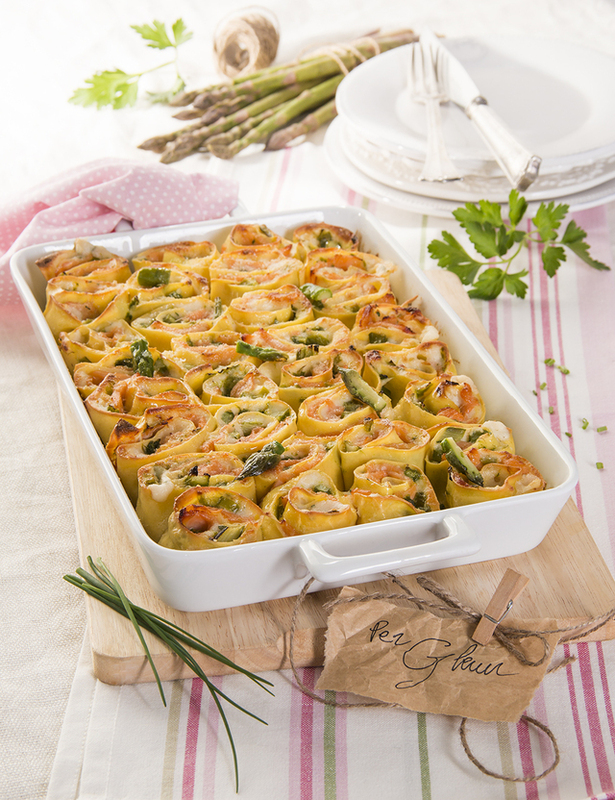 · Arrange some flakes of butter and a little parmesan on the surface, then put the “lasagne verdi” in the oven at 190° for 60 minutes. Work flour and yeast dissolved in half a water glass. 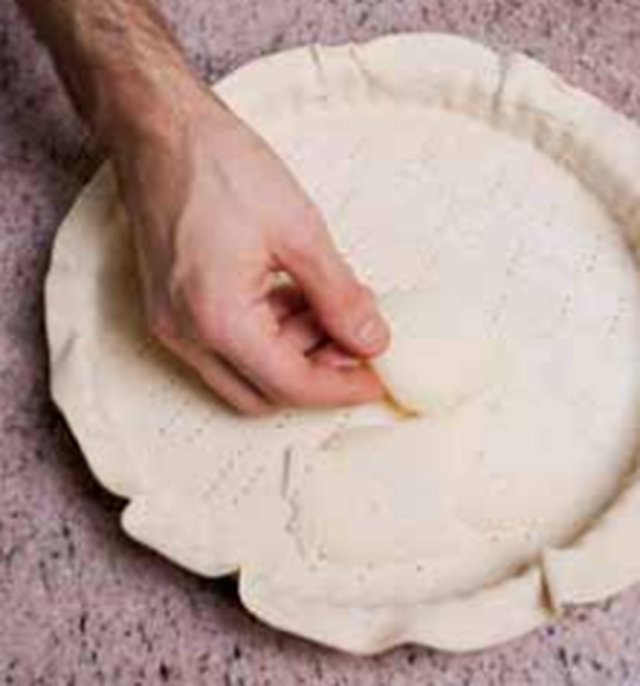 Add the oil and continue working adding the needed water so as to obtain an elastic and extensible dough. Add salt at the end of processing and let the dough rise for 40 minutes. 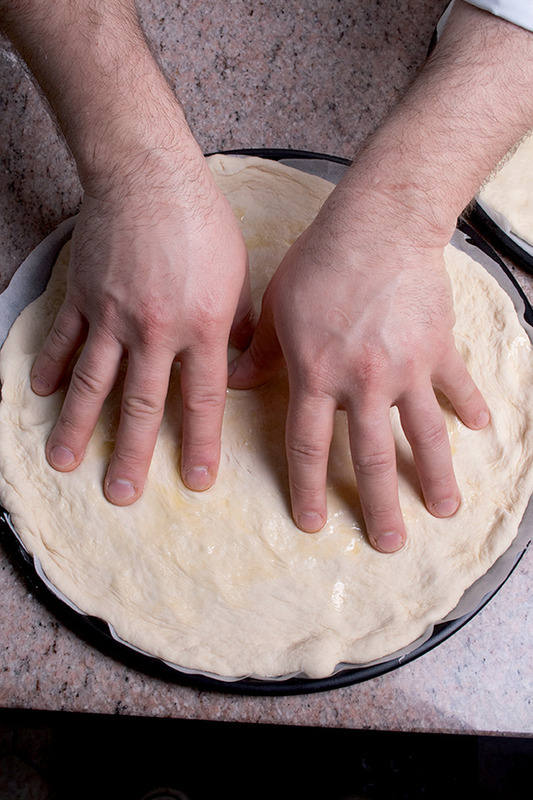 Work again the dough and roll out 2 pizzas, then place them in the oiled trays. Let them rise one more time for 15/20 minutes, then arrange on their surfaces the tomato seasoned with oil and salt. Put the trays into the oven at 190° for 15 minutes, then take them out in order to garnish with the minced mozzarella (soft cheese), the brie and the sliced speck. Complete the cooking in the oven. 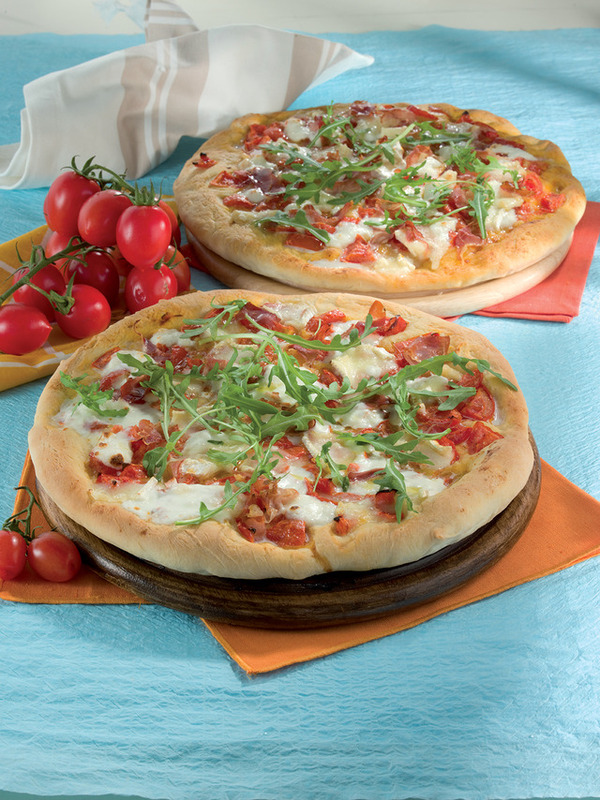 Before serving, arrange some arugula and a little olive oil on the pizzas. Filling: beat eggs and sugar; add spoons of ricotta. 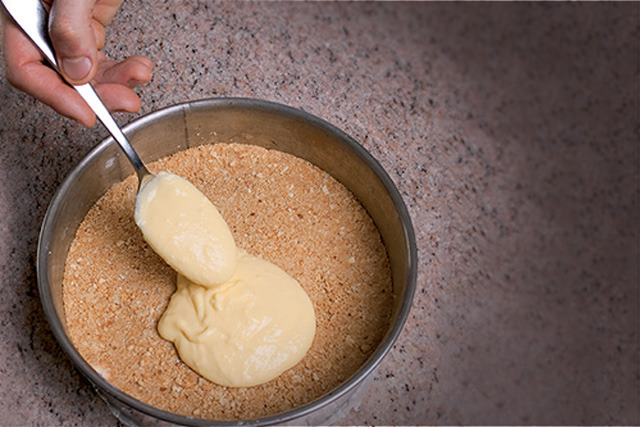 Continue whisking, pour the sweetened condensed milk. When the mixture is swollen and spongy, add the grated orange peel, the lemon zest and the scraped seeds of vanilla. Base: mince the biscuits and the rusks, then add melted butter and liqueur. Put the mixture on the bottom of the cake mould, press it well and let it rest in the fridge for one hour. Pour the filling in the cake mould levelling the surface and put in the oven at 170° for 40 minutes; then increase the temperature to 180° and continue cooking for other 10minutes. Take the cake out of the oven and let it cool without removing it from the mould. When the cake is cold, put it gently on a serving platter. 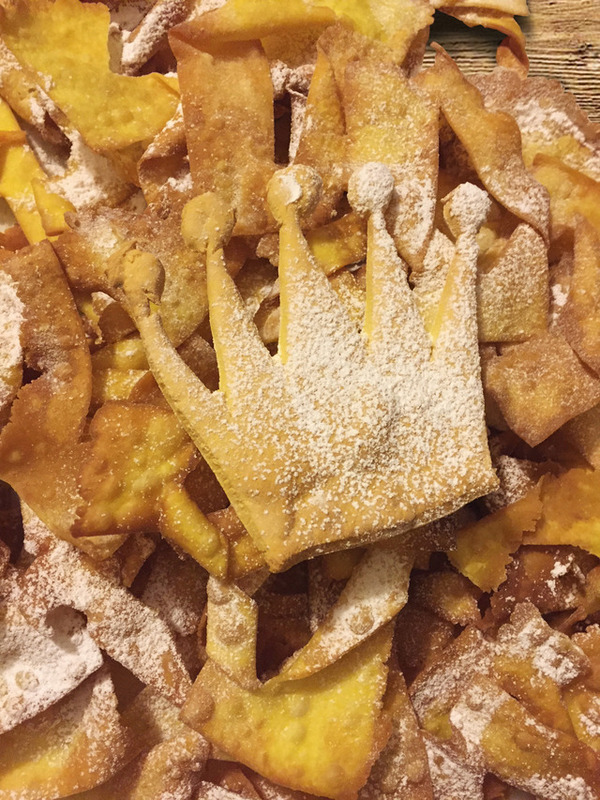 Decoration: whip the cream with the icing sugar and put the mixture in a sac à poche with round nozzle. 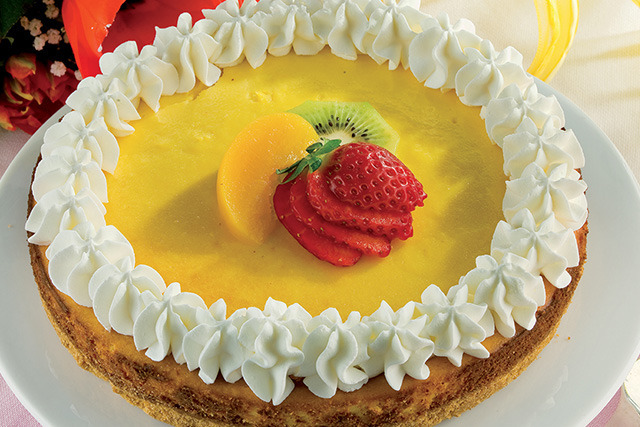 Garnish the edge with a crown of cream dollops and adorn the middle of the cake with the mixed fruit. 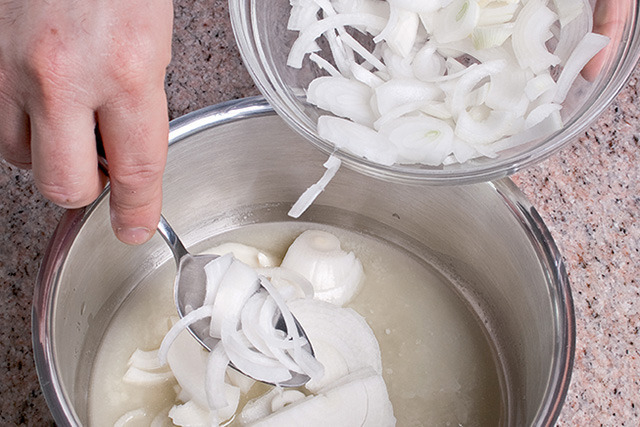 Slice the peeled onions. Sauté in butter for some minutes, then add flour and stir to dissolve the lumps. Pour the hot broth and cook over a low heat for 40 minutes. Add salt and peper. Toast the bread in the oven. 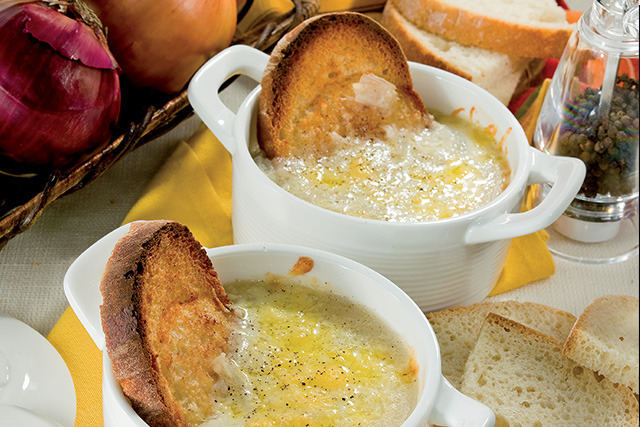 Put on the bottom of four ovenproof bowls a slice of bread, then cover with the onion soup. Put another slice of toasted bread, sprinkle generous gruyère cheese and broil at 200° until the surface is browned. 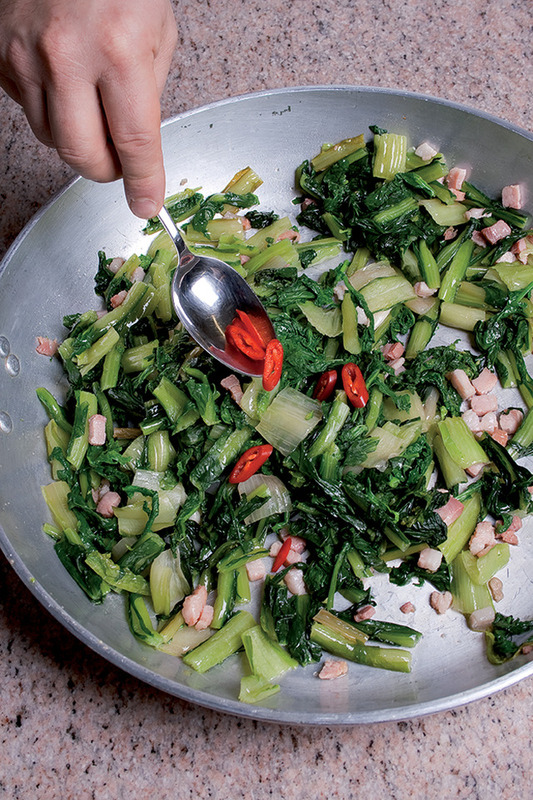 Make season 10 chopped basil leaves, half a clove of crushed garlic, a chopped red hot pepper and salt in 50 g oil. Let it rest for 1 night. 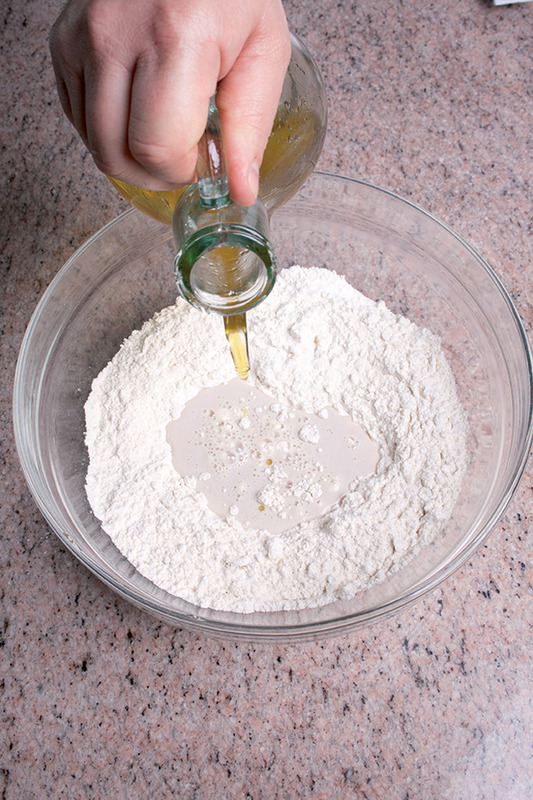 Dough: dissolve yeast in a cup of lukewarm water. Start to work flour and yeast, oil and water necessary so as to obtain and elastic soft and extensible mass. Add salt at the end of processing. Place the dough in a bowl and cover it with a dishcloth and let it rise for one hour or until it has doubled its volume. 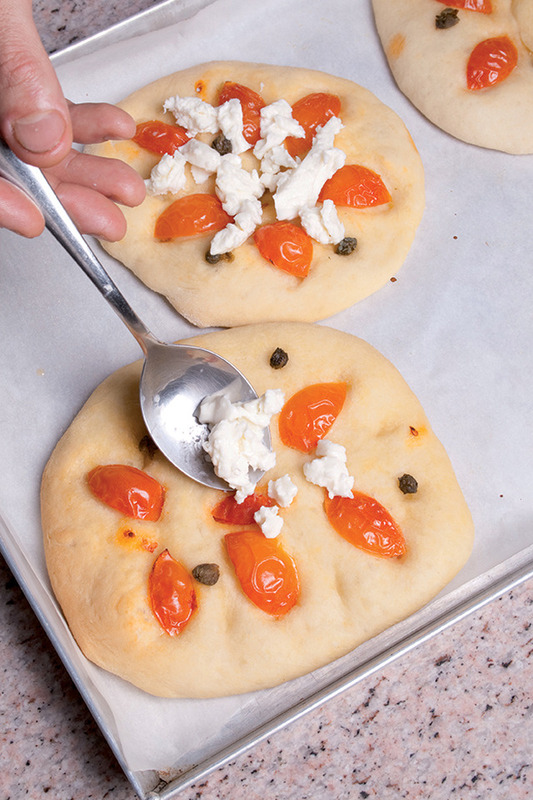 Divide the dough into 8 pieces and roll them out in single pieces (pizzette). 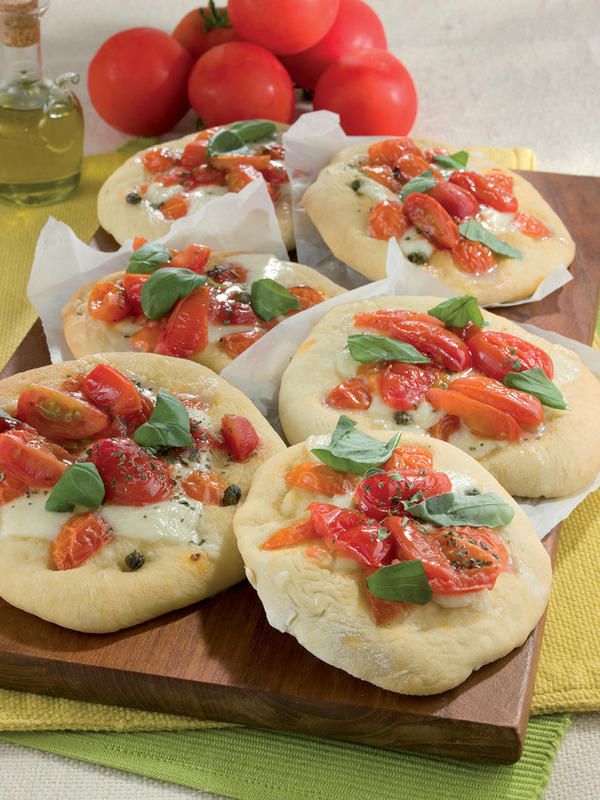 Brush each pizzetta with the filtered aromatic oil and the arrange the sliced tomatoes and the capers. Put them in the oven at 200 degrees for 10 minutes, then take them out and distribute the minced mozzerella. Garnish with basil, origanum and a little aromatic oil. Crush the cauliflower grossly; add the béchamel, the cheese and 6 chopped anchovy. Add salt and pepper. Roll out the dough thin and cut some squares of cm 10 x 10. 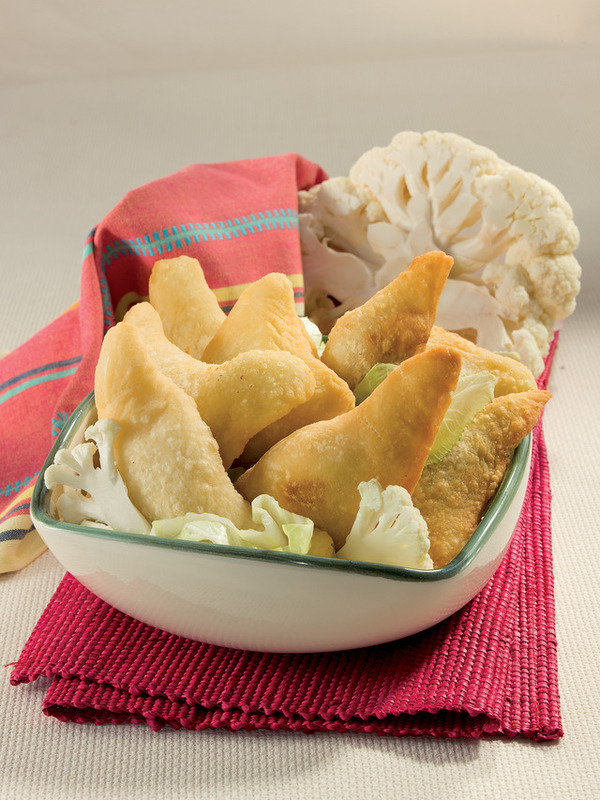 Put a spoon of cauliflower filling in the middle of each square (without arriving at the edges). 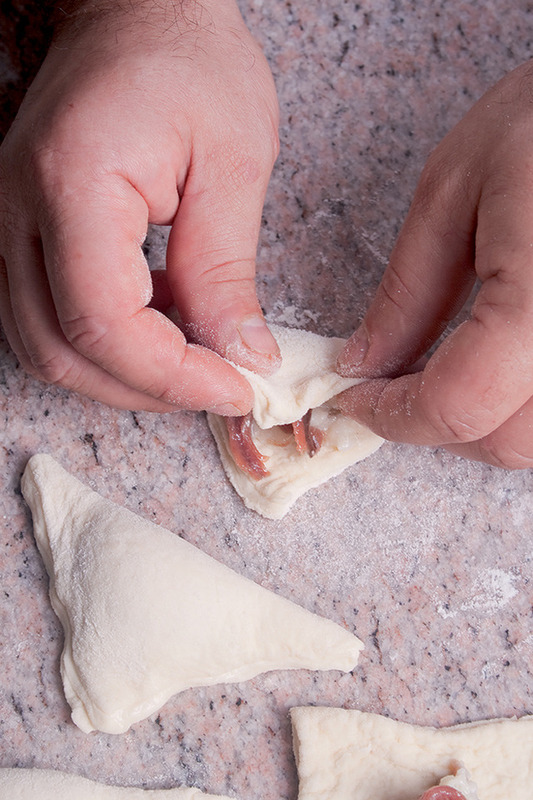 Put an anchovy filling in the middle of the filling and close the panzerotto welding the edges well. Wait 10 minutes then frying them in very hot oil. Divide the tops of the cauliflower and chop the stem. Wash and drain. Divide the broccoli as well. Wash and slice the carrots. 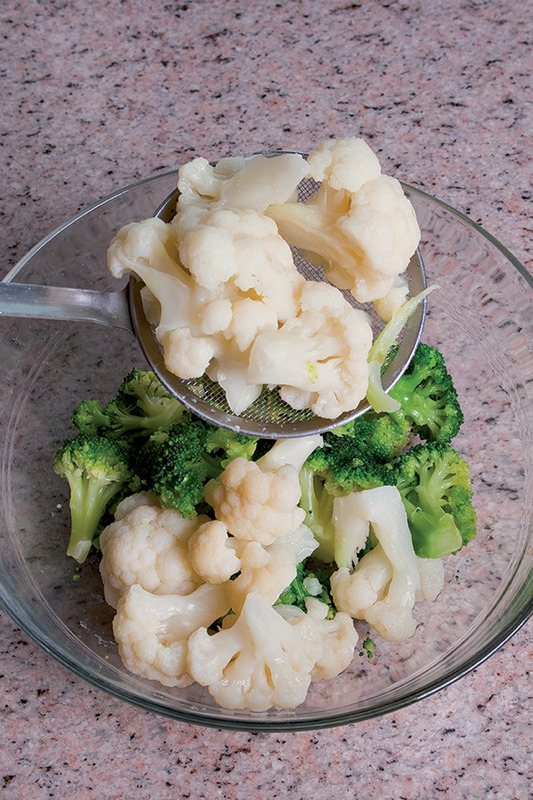 Boil the vegetables in salted water and drain them crisp. Pour olive oil into the pan, then add the cloves of garlic, the anchovies, butter and a some minced red hot pepper. After browning, add the vegetables and the minced parsley in order to season them. Add salt. 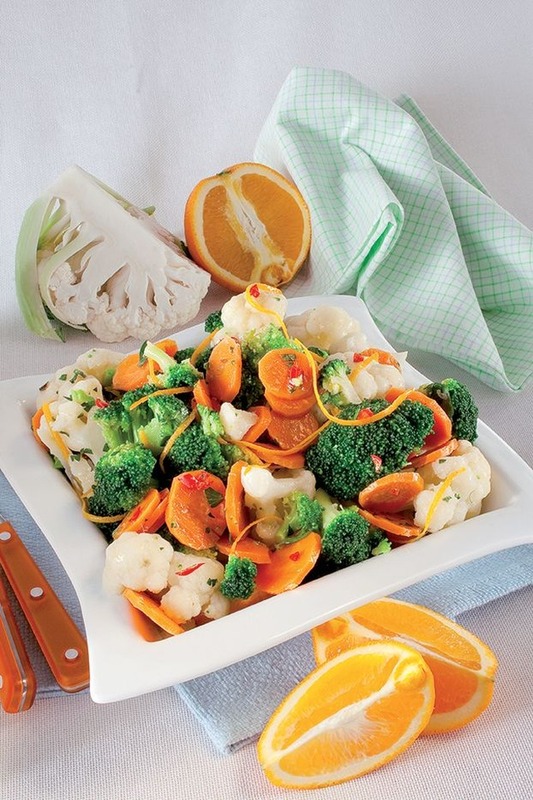 Serve and garnish with minced parsley and the orange cut into thin slices. Put it in a large pan with half a glass of water. Put on the lid, boil the chicory, then drain and squeeze. Put on the burner the same pan with the oil, the crushed garlic and the bacon. Then add the vegetable and increase the flame. Season the chicory with the two red hot sliced peppers and a pinch of salt. Cook for 5 minutes and serve it hot. Dice the codfish, dry it well and flavour with the chopped parsley. 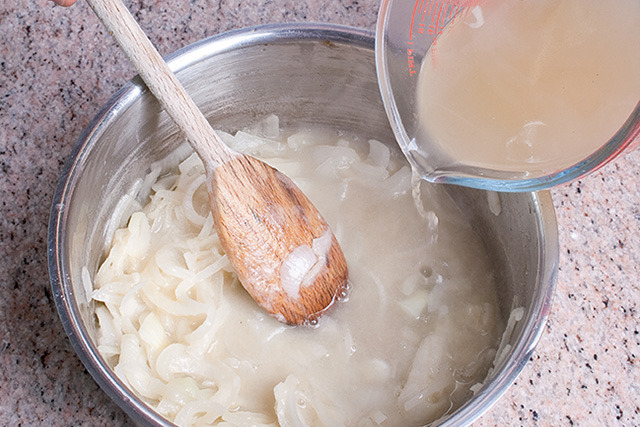 Dissolve yeast in 4 spoons of water. Pour flour into a bowl, add the garlic and the hot peppers thinly chopped, the parmesan, pepper and the water with yeast. Add the other water in order to obtain a sticky mass; let it rise for 30 minutes. Stir the risen flour and soak the codfish into it. Leti t stand for other 15 minutes. Heat the oil. 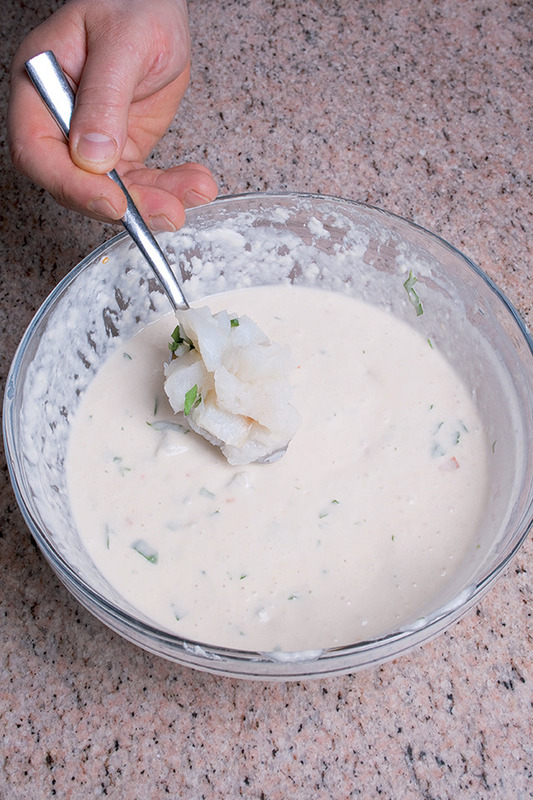 Take from the bowl some spoons of codfish dough and fry. When the fritters are golden, drain them on paper towel and add salt. 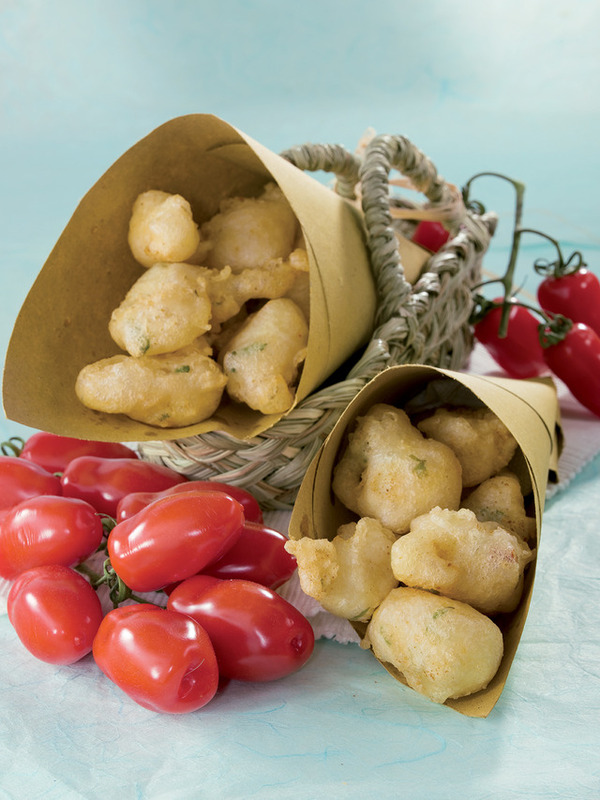 Serve them hot with cherry tomatoes and salad. • In a bowl beat egg whites until they become foamy and add a spoon of sugar. Keep it aside. • Work butter and the remaining sugar. • Continue whipping and add the yolks, one by one, the flour sifted with the potato starch, yeast, salt and the foamy egg whites. Add the crushed macaroons and two slices of minced pineapple. Mix accurately and pour the mixture in the mould previously oiled and floured. 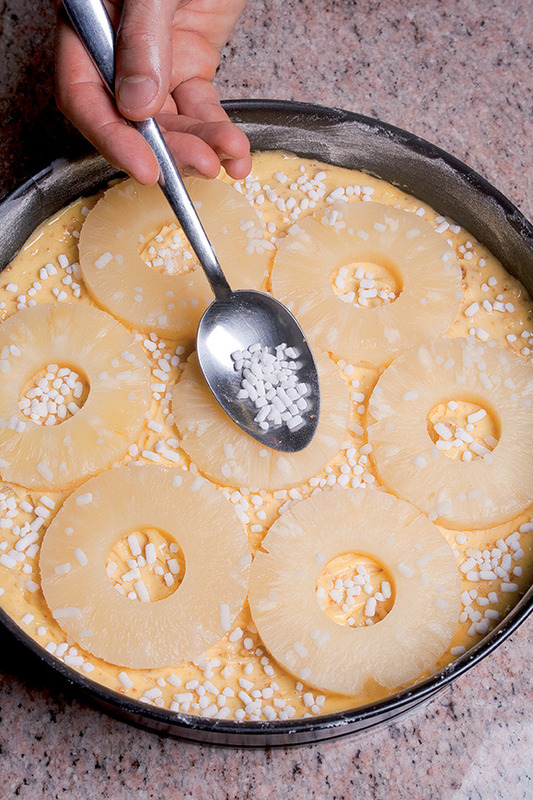 • Arrange the slices of pineapple on the surface (dry them with paper towel) and sprinkle with granulated sugar. Bake at 180° for 30 minutes, then reduce the temperature at 170° and continue cooking for other 40 minutes. Take the cake out of the oven and put it on the oven broiler to cool. 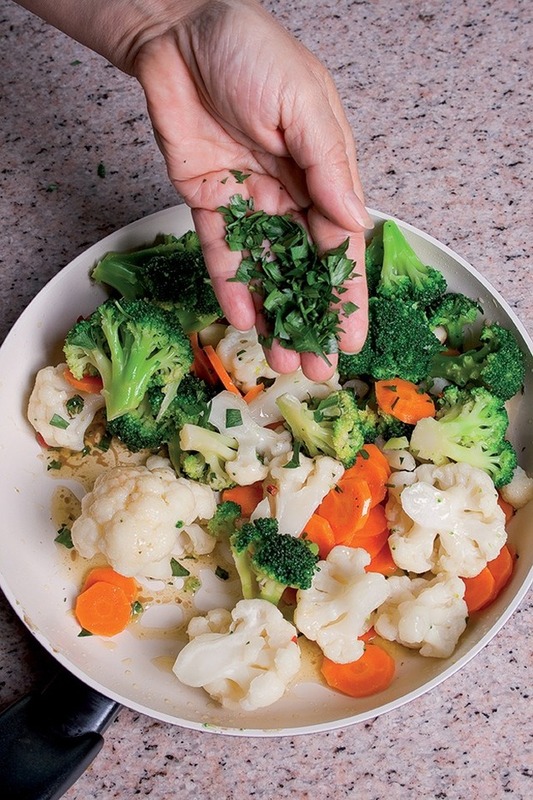 Chop up the vegetables and saute in oil. Add the minced meat, then add salt and pepper and saute for a couple minutes. Add the red bell pepper, a pinch of cayenne pepper powder, and slowly add the wine until it is evaporated. 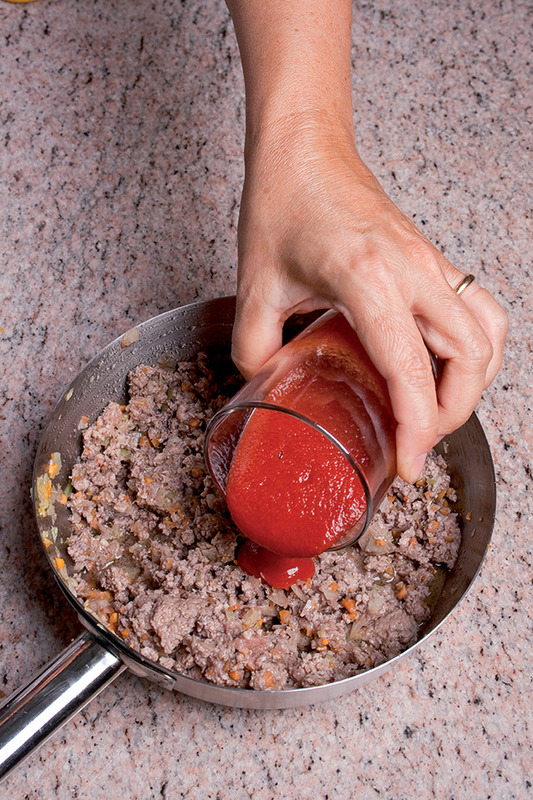 Add the tomato sauce and let the mixture cook at a low temperature for about 50 minutes, gradually adding water. When the sauce is ready, add the cream. 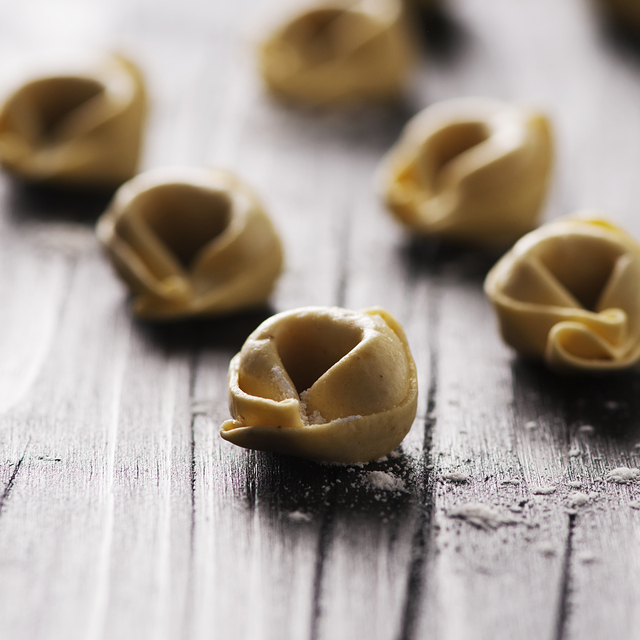 Boil pasta in salted water, cooking until it is al dente and drain before adding it to the sauce. 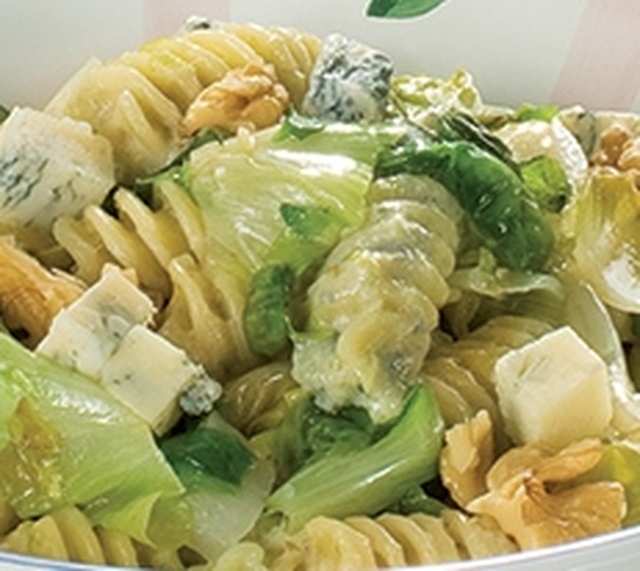 Distribute the pasta onto the plates and top with grated pecorino romano. Saute the onions and thyme with the butter for 20 minutes. Add salt and pepper. 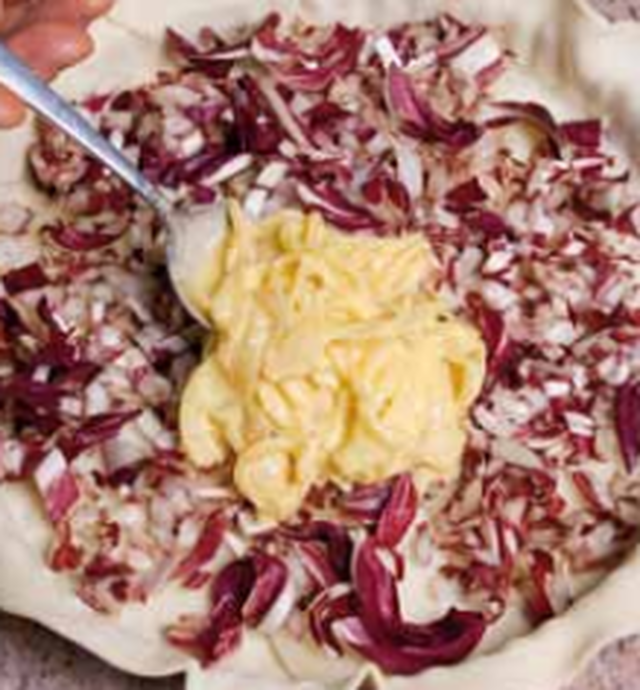 Beat the egg with the cream, adding in the parmigiano, onion and the rest of the ingredients. Roll out the pastry dough, add it to the pan, pricking the bottom. Cut the radicchio into a fine julienne, then pour the onion mixture over it. 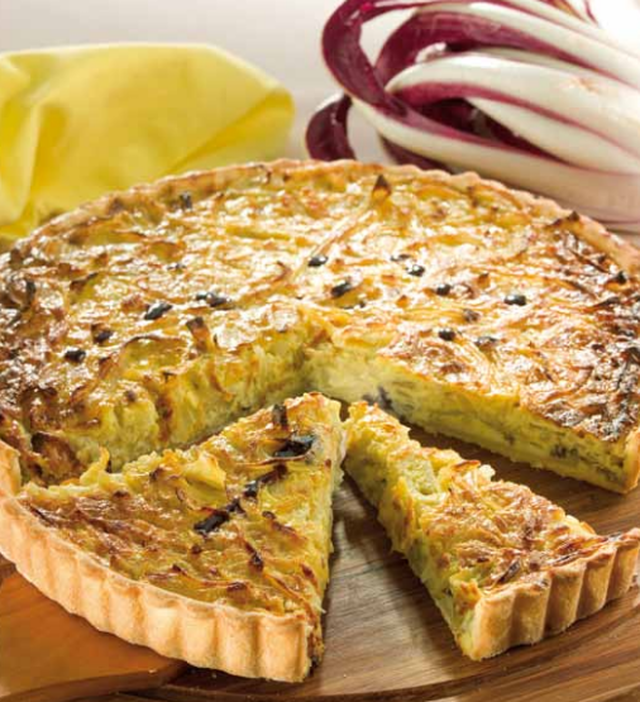 Bake the quiche in the oven at 190° for 20 minutes, then lower the temperature to 170°, cooking for another 20 minutes. When the quiche is baked, let it rest for at least 12 hours before serving, then finish with a drop of balsamic vinegar from Modena. Dissolve yeast in the lukewarm milk. 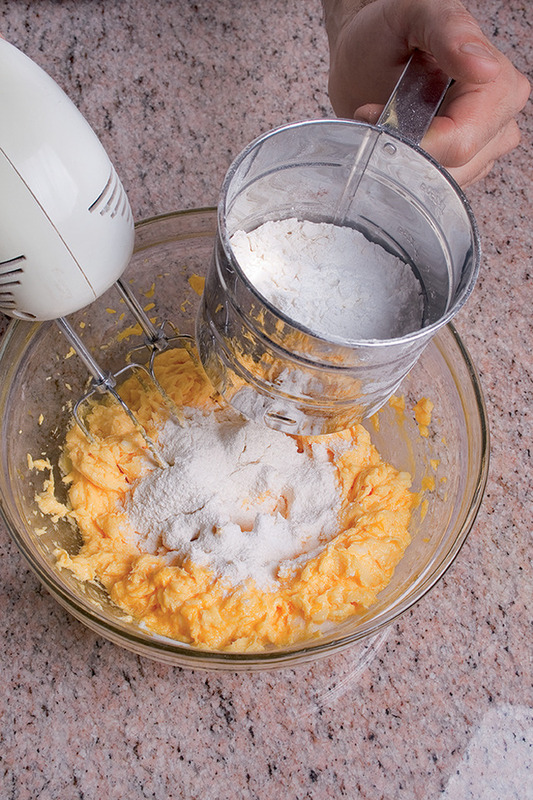 Work flour and the egg with the yolk, yeast, sugar, the minced butter, salt and the grated orange peel. 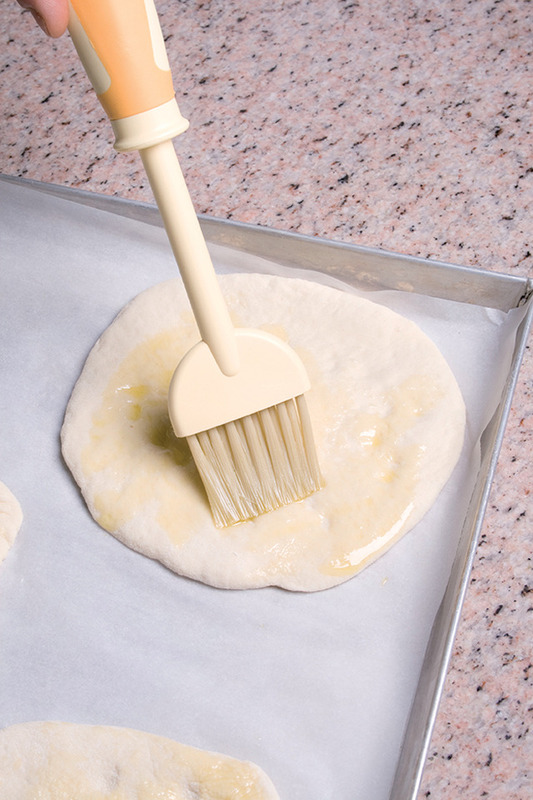 Work the dough until it becomes a smooth mixture. 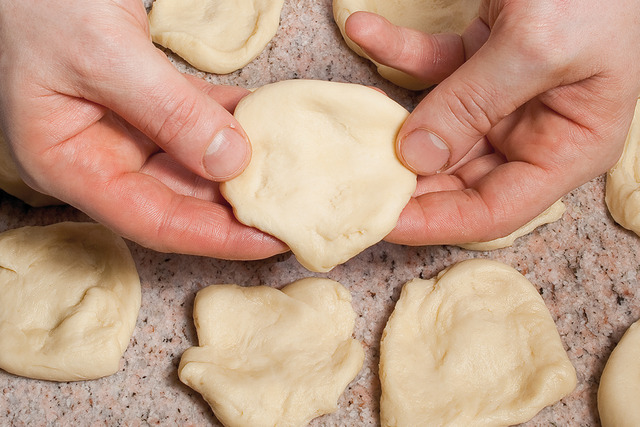 Let the dough rise until it has doubled its volume, then divide into 24 parts. The weight of each part should be of 40 g.
Open the little balls and fill them with a teaspoon of jam. Close and put them into the mold. Let them rise for 60 minutes. Bake at 180° for 35 minutes. Decoration: sprinkle the lukewarm balls with icing sugar. 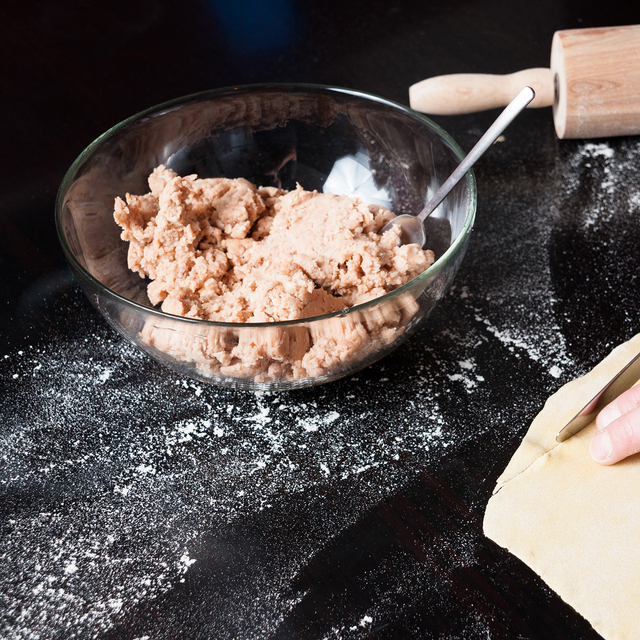 Dough (pasta): work flour and melted butter, add the egg, water and salt. Work well the dough and let it rest in the fridge for 30 minutes. Filling: soak raisins in liqueur. 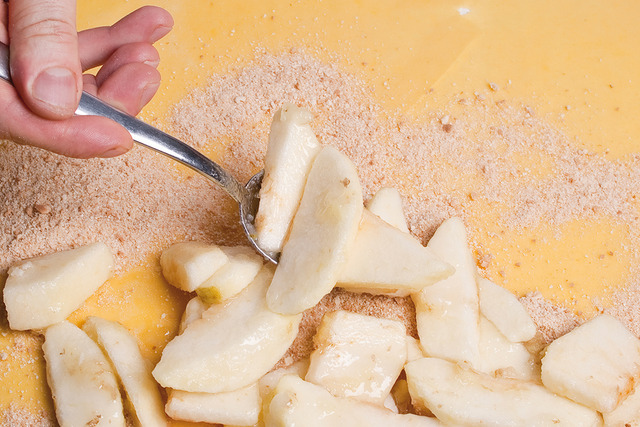 Slice the peeled apples and flavour them with the grated lemon peel, 2 spoons of sugar and the grated ginger. 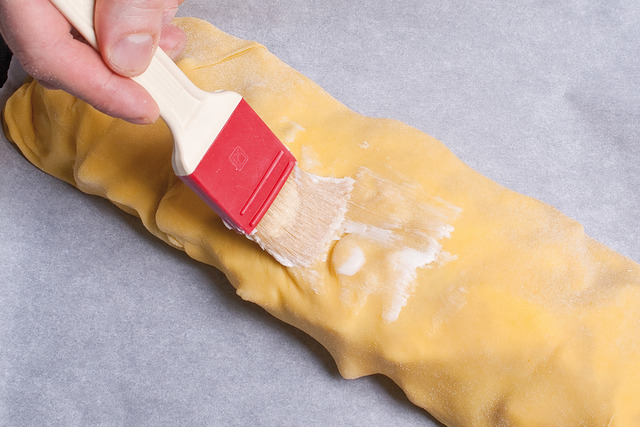 Roll out the dough with a rolling pin on a clean dishcloth. In the middle of the dough scatter the bread crumbs and the biscuits. Overlap the apples and the raisins drained and squeezed. Sprinkle with the remaining sugar. 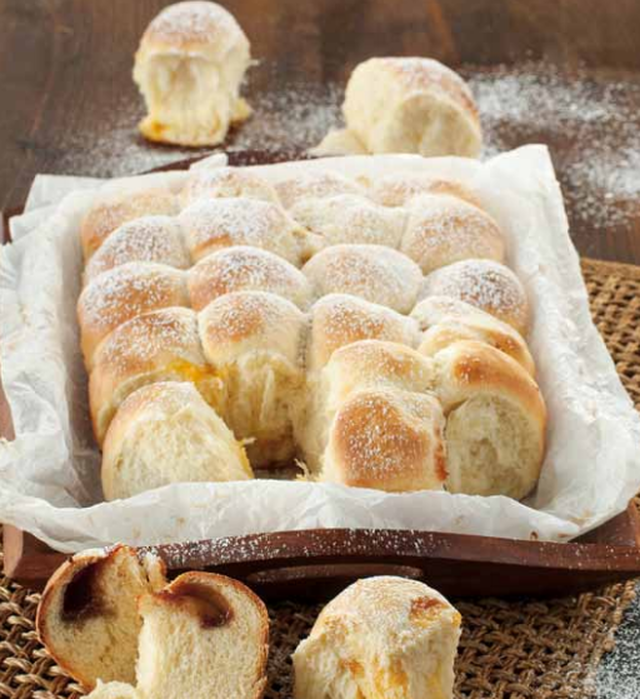 With the help of the dishcloth roll up the dough and brush it with melted butter. Cook at 190° for 45/50 minutes. 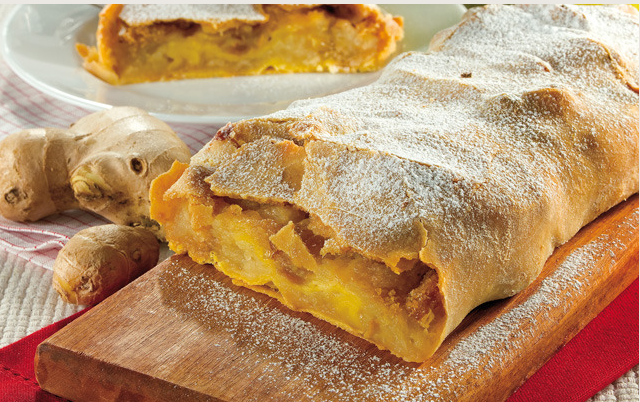 Every 10/15 minutes, brush the strudel with melted butter. Before serving, sprinkle with lot of icing sugar. In a large bowl, sift flour and add salt. 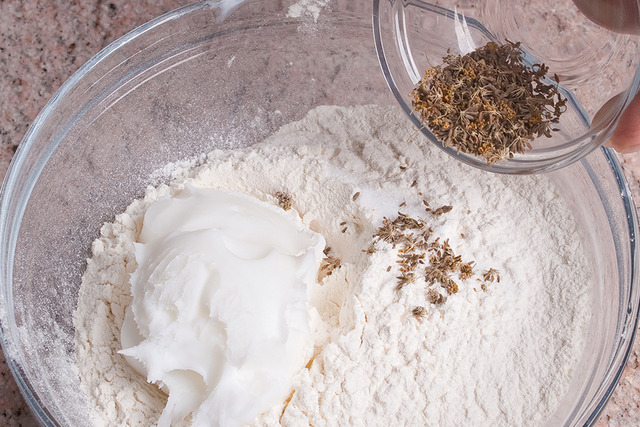 Dissolve yeast in a cup of lukewarm water and add it to flour with the wild fennel and the room-temperature softened lard. 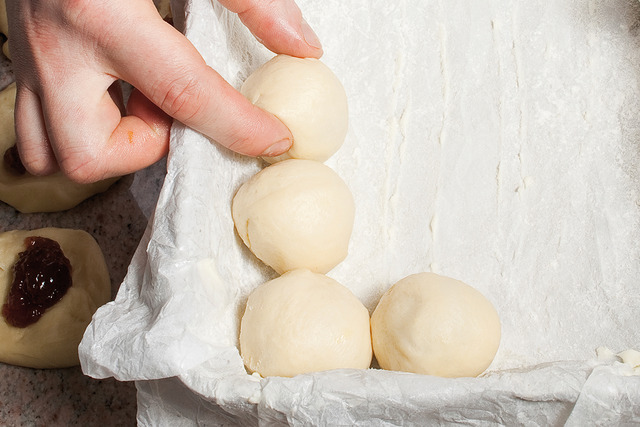 Work the dough until it is soft and elastic. 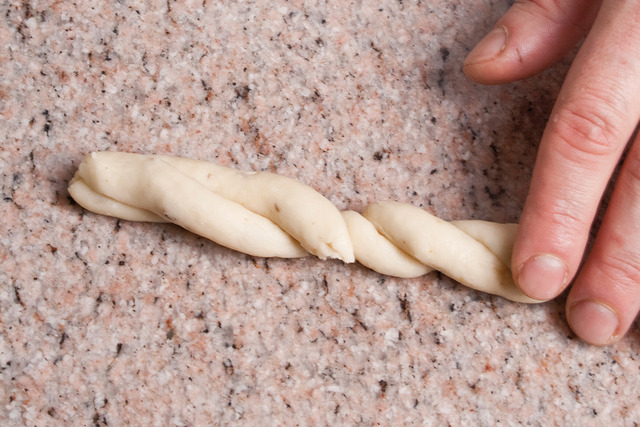 Roll dough into ropes then twist together, two at a time, joining the ends. 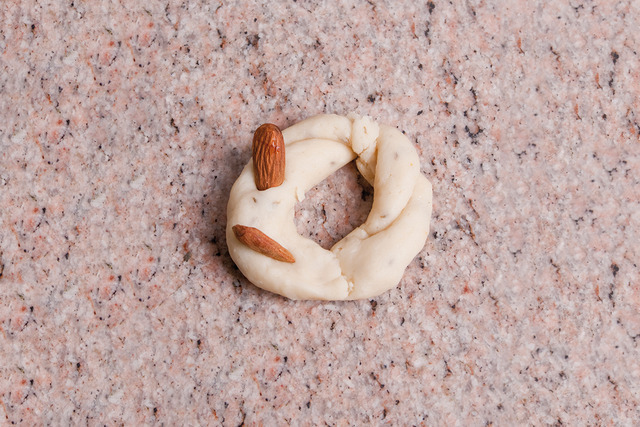 Add almonds into the Taralli and let it rest for one hour covered by a dishcloth. 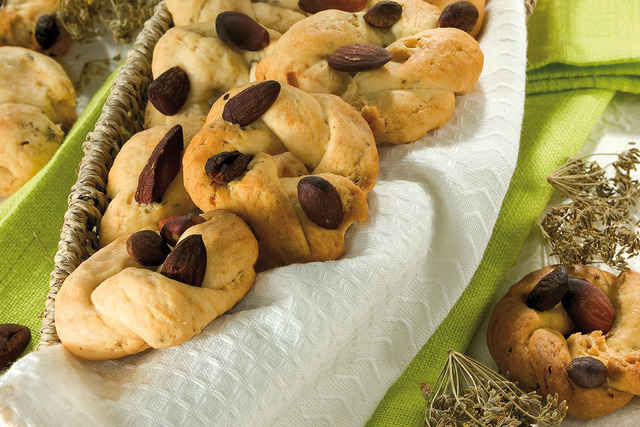 Brush the Taralli with water and place them into the preheated oven at a 180° c for 45 minutes.